My stepfather was only once in Germany and then he only visited Lüneburg. Back home, he was extremely impressed by the little picturesque houses, maintained in a good shape for centuries. As the city was left untouched by the WWII bombings, the city seemed to have its special histories to share. 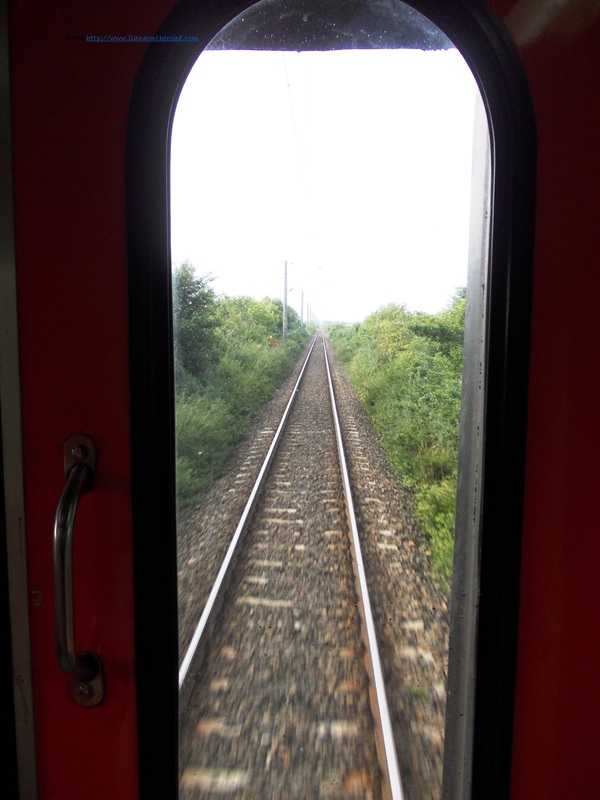 Taking the chance of some special Deutsche Bahn train offer this summer – less than 40 EUR two ways from Berlin for a weekend ride – I embarked on my trip direction North Germany. Unlucky me, during my entire trip to Lüneburg I had as train company a huge group of soccer fans who were heading further to Hamburg. I am tolerant enough to accept people’s love for football, but everything stops shorter when it comes to the never ending bottles of beer consumed during a 3-hour trip many poured on the floor. Upon arrival in the city, I preferred to err for a couple of good minutes, enjoying some silence and fresh air, around the waters of Ilsenau. The view of the historical houses changed my mood. A nice lady engaged a conversation with me, explaining me the downfalls of living in such a house: sometimes it can be too cold and usually the doors and windows cannot be changed. The water seems to have played an important role in the development of this city. Nowadays, this role have been converted into cultural value. The water tower – the Wasserturm – for instance, gathers various exhibition spaces and also offers hosting for special events, such as weddings. All the historical houses are labelled as ‘trade’ houses but obviously some were more successful than the others in their business endeavours. As it always happens. But history can wait. As for now I want to check the foodie offer, hoping that there will be more than middle ages flavours available. My expectations are answered and it seems that I have to make a difficult choice. 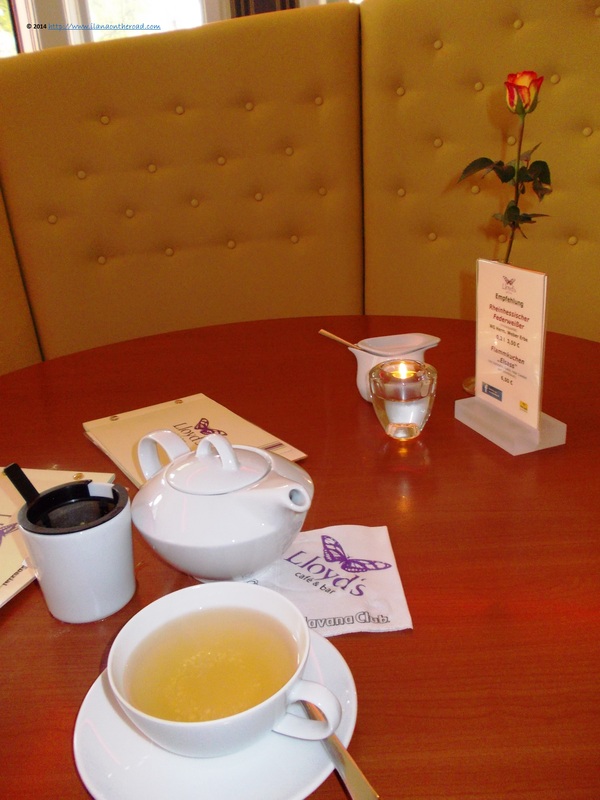 From a Thai restaurant – Buddha Thai – whose advantage is of being too far away from the main street, to some English high end options, including high tea, like Chandler’s Caffee, there is enough to calm my hunger. As I want to keep an eye on the street while enjoying the jazz rhythms of a street musician, I am set for the less sophisticated Cafe Central, where I order a quinoa veggie burger and French fries. Exactly what you can expect from such an order, and one more time, I am not convinced to include quinoa on my foodie preferences. I did not know too much about Klein Machnow until a couple of months ago when someone outlined the real estate potential of this place, as many local VIPs, of various calibers, do have villas here. The decision to spend a whole summer day here was more the result of my curiosity than determined by some economic purposes. Plus, I assumed that I know quite a bunch about Berlin and its neighborhoods. What happened that I missed this apparently famous place? I arrived there with a local bus from Berlin. 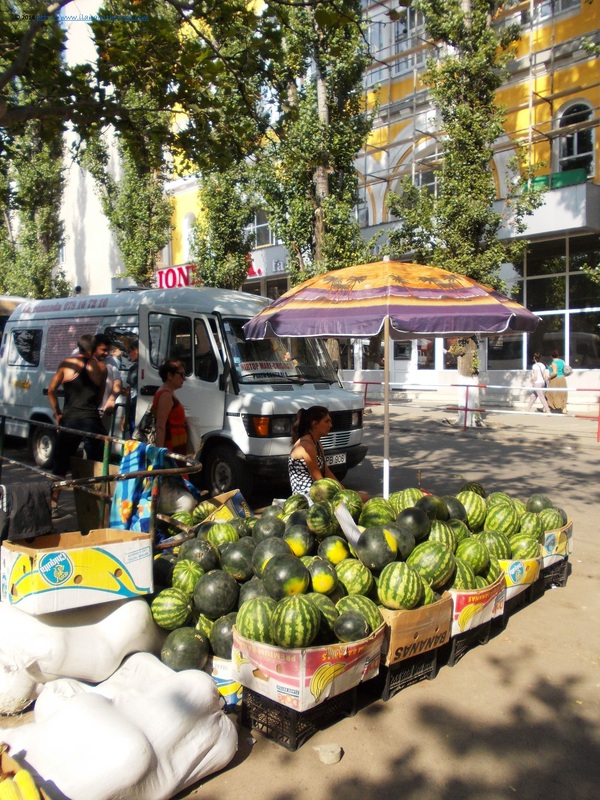 Then, I took the Karl Marx Street for around 20 minutes, not before a long stop at the local weekly vegetables market. Triangle-roofed houses hidden by the high vegetation were the first noticeable observations in my first hour of exploration in Klein Machnow. 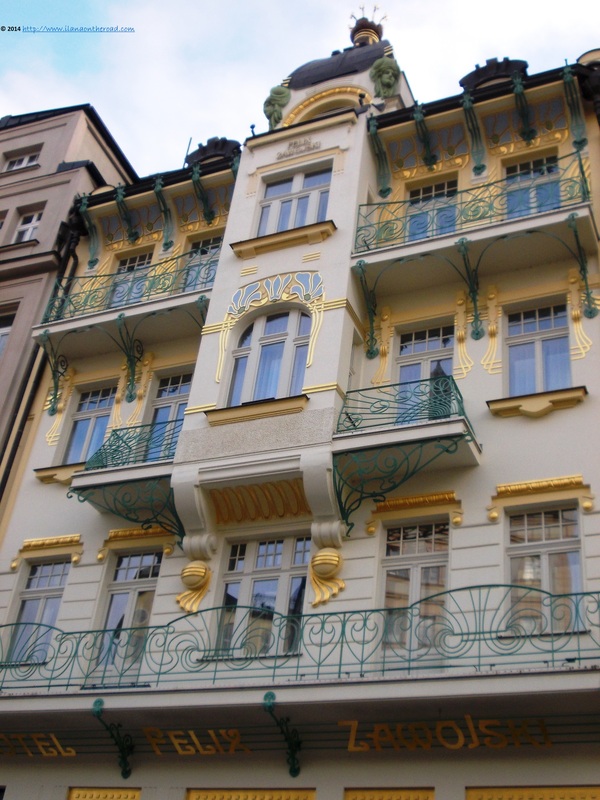 Many buildings were renovated in the last years and sold to successful entrepreneurs from Berlin. 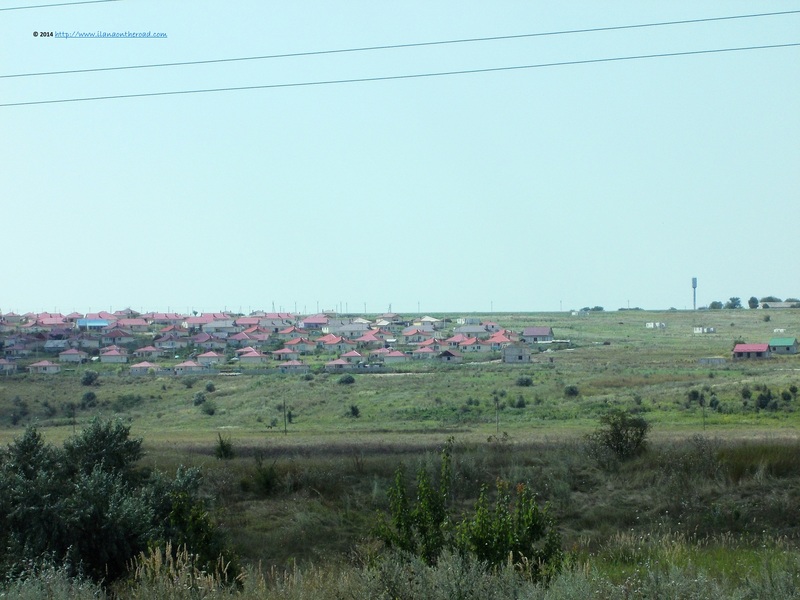 The situation of real estate in Klein Machnow was subject not only to economic considerations. During the Cold War, this locality was part of the communist part. Following the reunification, around 8,000 people lived their houses that were in fact occupied illegally from owners that went in the West. It seems that history repeats itself, but this particular dispute was assigned a name: “Klein Machnow Syndrome”. A couple of streets before we were reading about what to do when meeting wild boars, a frequent presence around it seems, but now we are in the middle of the small central area and everything make you feel centuries distance from the above mentioned wilderness. The main shops and restaurants are concentrated in the area around Sehquartier. 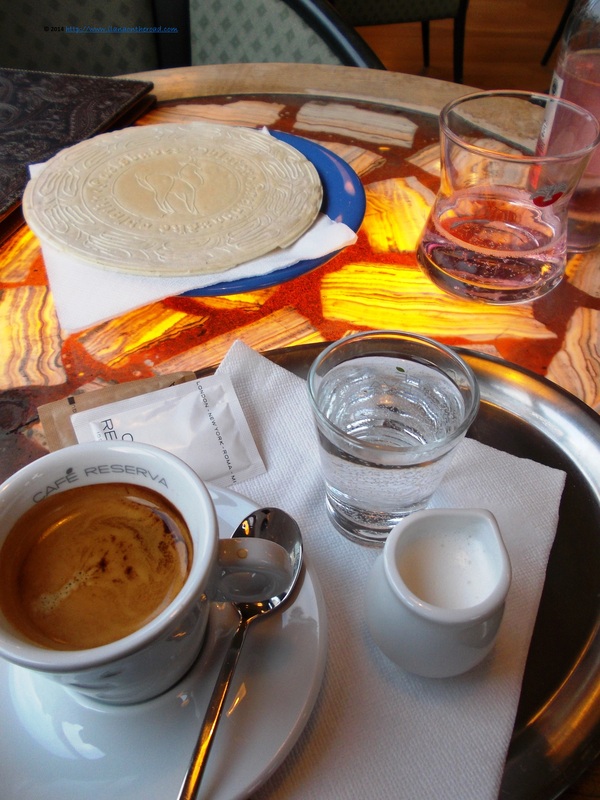 There is nothing exquisite, just everything you need to make your life bearable before the first ride to Berlin. The same when it comes to food. The Salumeria is the most attractive place for food and I took a seat outside, a good observation point to notice the locals between the food bites. The bruschettas are edible, not too elaborated in terms of taste – was expected more spices and maybe a bit more olive oil. The pasta arabiatta are spicy as expected, but not too well cooked. The sauce compensates everything though, including the clumsy customer service. With renewed forced, I continue my trip, convinced that there must be many hidden histories in these places. 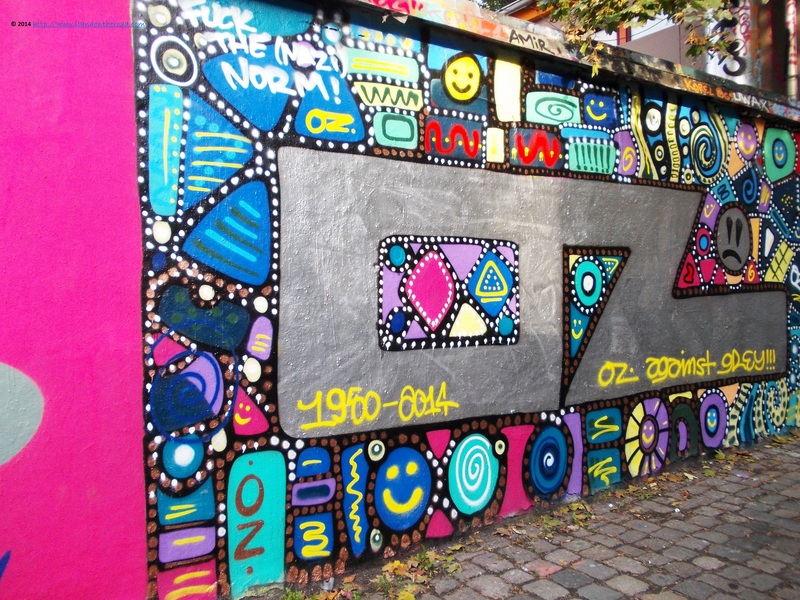 The street art is colourful, a testimony that there must be young people with ideas around. The architects seem to try their hand here too, as the Bio Company shop is hosted in one of the most interesting buildings dedicated to this business, the repeated wood detail and the transparent entry being a good illustration of the messages of this company. 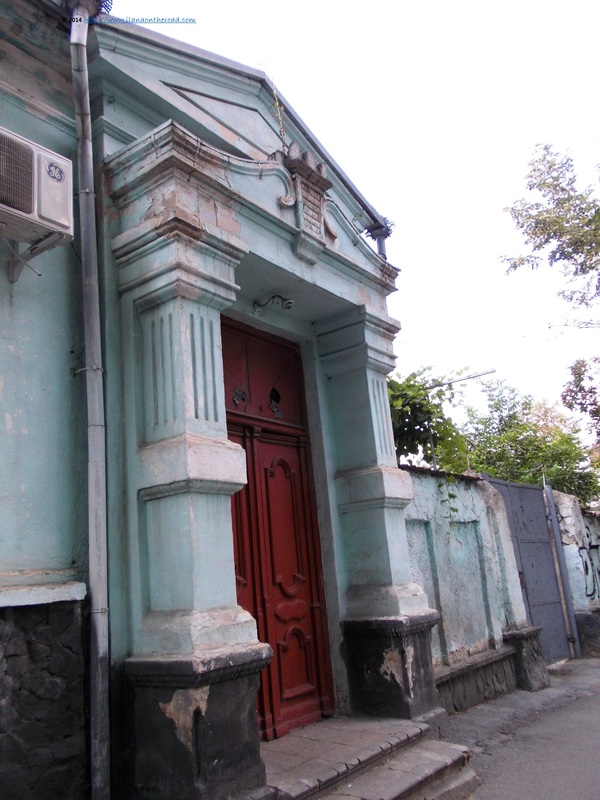 The only school in the locality bears the name of the Russian (Soviet) writer Maxim Gorki, a memory from the old communist times maintained in Germany without the similar shame from other communist countries – as the Karl Marx street that lead me to the city. After a little bit of bus riding and more hiking, I arrive at one of the trademarks of this neighborhoods of Berlin. The Teltow Kanal, inaugurated in 1906, that played an important role in developing the trade network between Berlin and different locations in Germany or Poland. Nowadays, here you can follow some short historical tours. The entire place is too peaceful to make you dream about the busy trade that used to be here just couple of decades ago. Nearby, the old tram tells a different story. 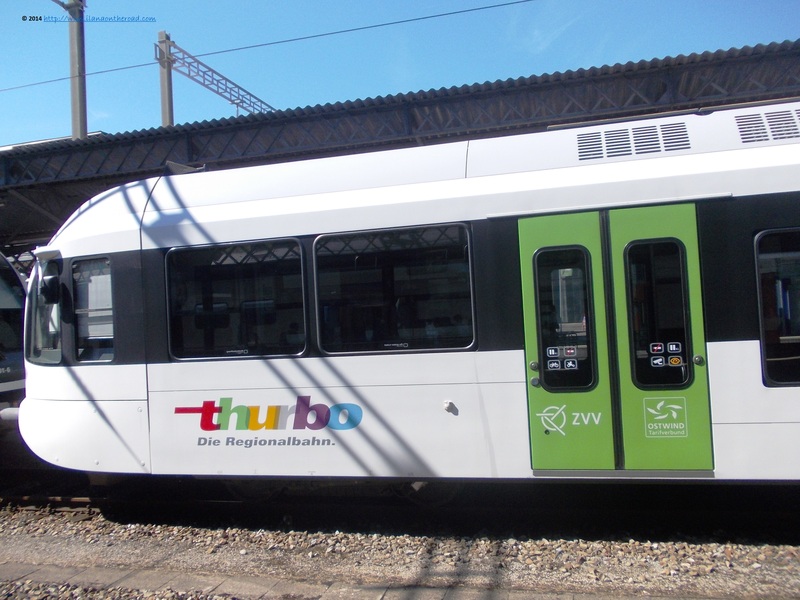 Now part of history, the 96 tram was took out of service following the establishment of the new borders of Berlin. As nothing went further the Checkpoint Bravo, this tram witnesses the isolation and alienation between the two parts of Berlin. The interior is decorated with black and white pictures from the old times and the custodian of the place is kind enough to answer my many questions around the topic: And how was is then? As it happens often, intuitively my steps are taken to places with interesting histories. I am walking through the yards of the Hakeburg castle, a construction built in 1600, supposedly turned soon into a posh real estate destination. Old stained glass and statues covered by the rain, winds and snow, large interior yards and high walls. Used first as a castle, during the war as a private residence of the Reichpostminister, Wilhelm Ohnesorge. Destroyed by the bombings, it was opened again only in 1950, first as a school for party leaders, but also used as a private residence for various guests of the communist leadership. Such a small place, so many histories, many of them not yet revealed to me. As my long years of travel taught me, there is no single new place on Earth were you cannot learn something. You just need keep following your journey. I wanted to visit Karlovy Vary for a very long time, but not obviously for very logical reasons. Blame it a lot of Central European literature, including Czech, indiscriminately and voraciously consumed during my childhood, or the regrets of never being able to attend the Karlovy Vary Film Festival, the famous movie fans gathering in Central Europe. As the last year was one of my best in a while in terms of travel, I marked another priority (out of many hundreds) on my travel bucket list. I arrived there in the middle of the autumn, at the beginning of November, exactly at the end of the spa season. But the city was far from being dead, as I noticed while walking slowly from the bus station where I arrived from Prague to Dvorak Hotel, that generously hosted me during my stay. I not only got to know the local generosity, with people helping me to get the right directions to my accommodation , but also a very glamourous night life, with luxury shops open till late in the evening, and ladies in fancy dresses checking the last offers or maybe a must have Faberge egg or a massive gold pacifier, who knows? Only the steam of the famous hot springs created an ambiance of mystery and suspense. 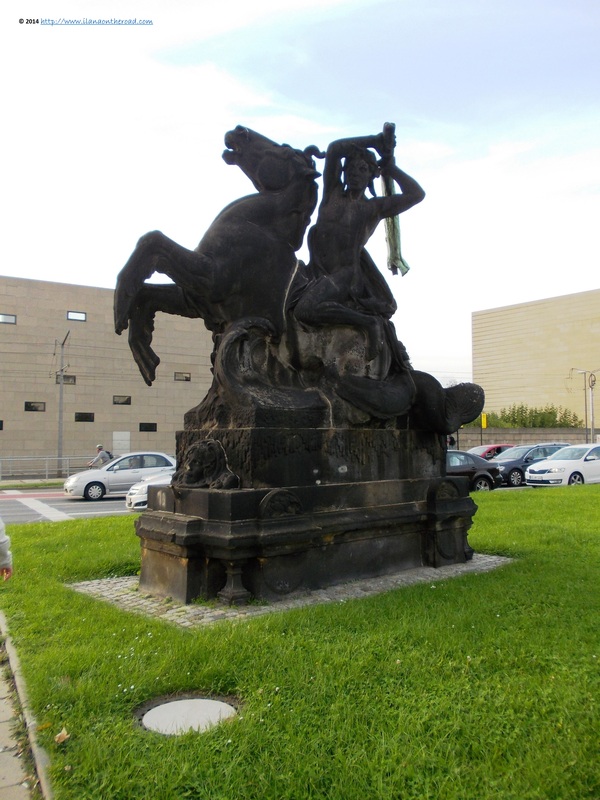 Ignoring the late arrival and the whole day of travel by bus from Berlin to Prague and then to Karlovy Vary, I decided to have a short tour of the central area. Hungry, I ended up in a German-Czech local and guest house, Egerländer Hof with many historical references on the walls of what used to be the Sudeten area and dusty stuffed animals. I ordered some Czech dumplings with eggs and mashed potatoes, whose oily and too salty composition gave me some nasty stomach pains the day after. Maybe the antidote would have been the famous Becherova, a local Anis liqueur made here from 200 years, but was not that brave to try it. 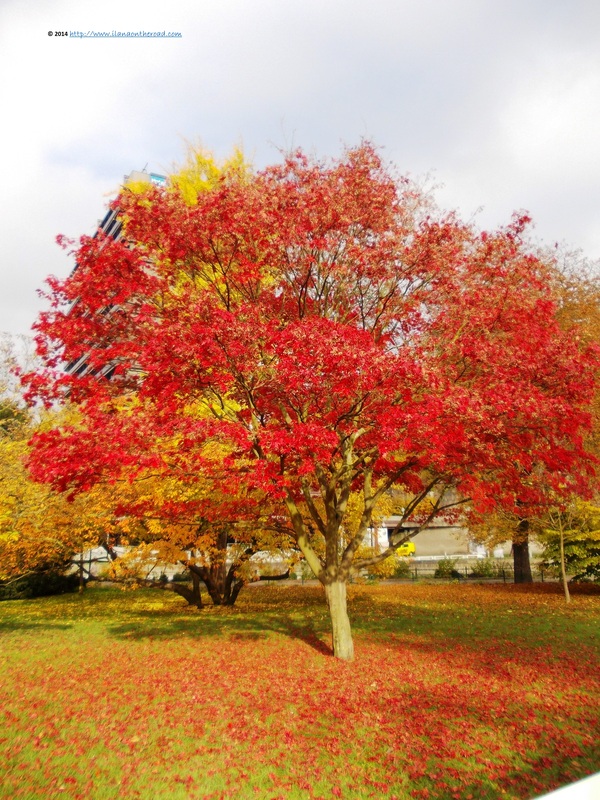 The next morning, a beautiful autumn palette that seemed hastly painted overnight on the hills around invited me to go out of my bed as soon as possible and start the city discovery. 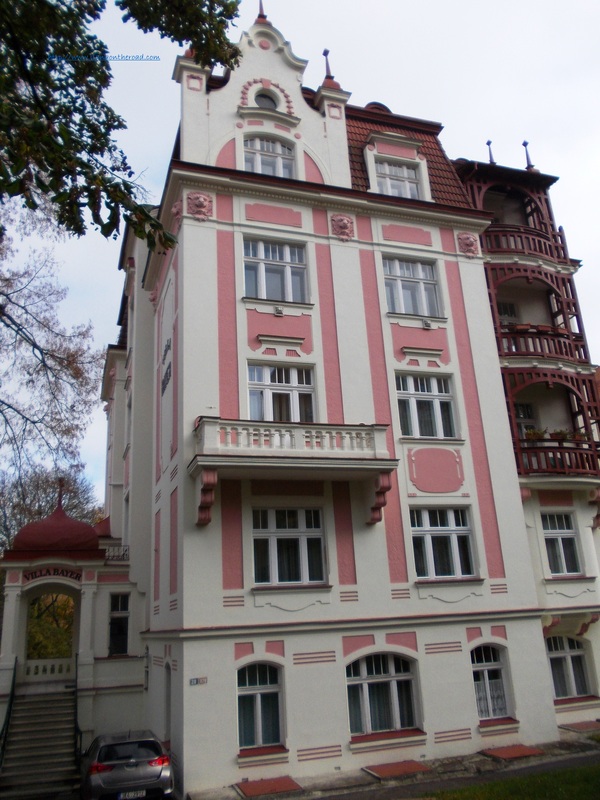 If ones arrives in Karlovy Vary dreaming about a very active night and day life, he or she may be disappointed. The life goes slow, except the exciting times of the film festival, with slow walks and shopping sprees, before or after some treatment sessions. 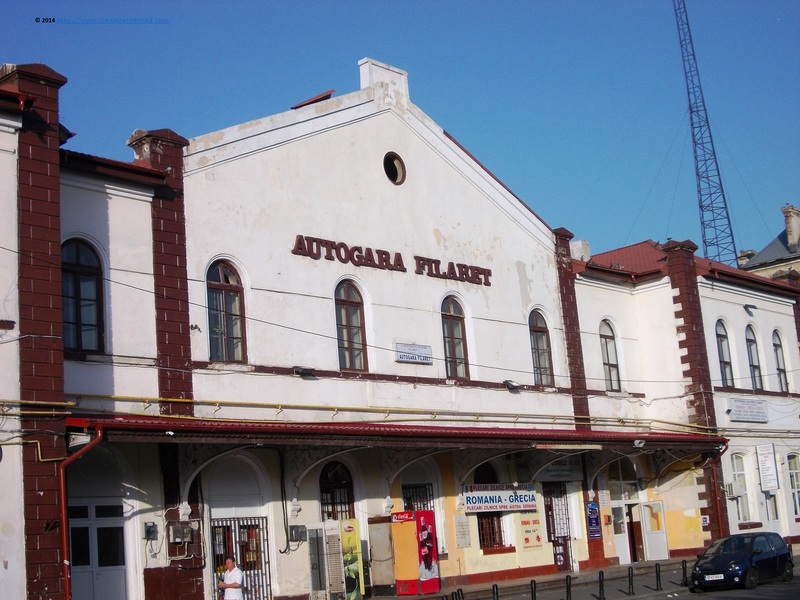 The local theatre, offering shows not only in Czech, but also in the omnipresent Russian, spoken everywhere by everyone, brings more cultural events in town. Some local jazz festivals held here are opening the doors to everyone in love with the universal language of music. 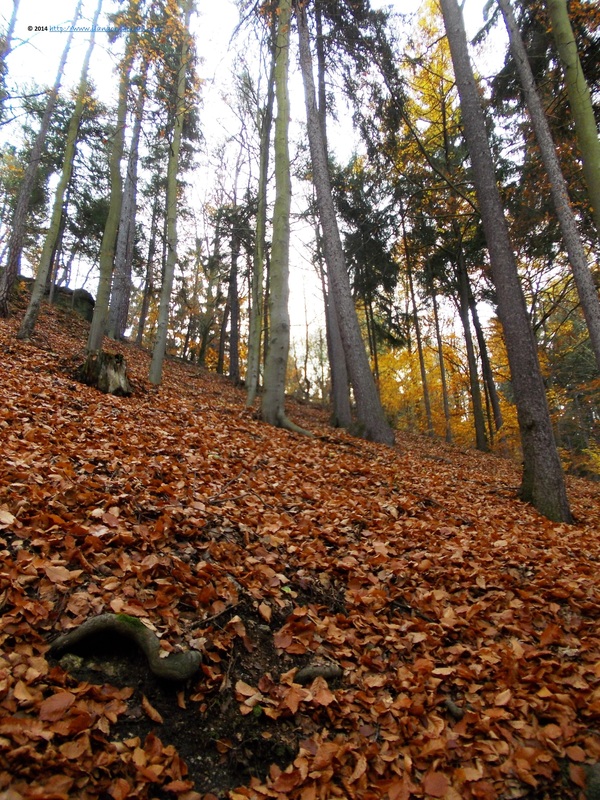 The mild light and colours of the autumn are calling me though for some hiking adventure, a call I am ready to answer, as soon as I am able to see the main points of interest in the city. Most part of the people coming here are for a more serious reason than I: the unique qualities of the thermal waters. 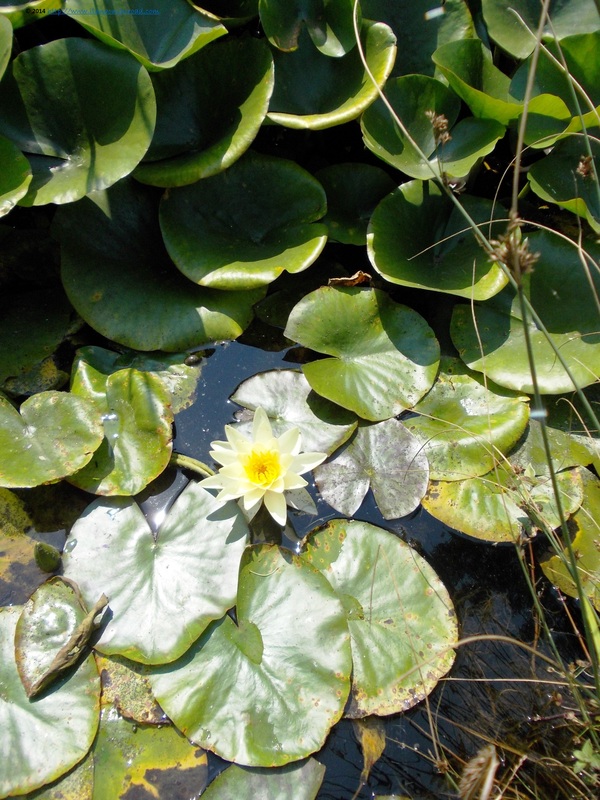 Used for treating problems of the digestive system, diabeters, weight excess, post-oncological diseases treatment and metabolical diseases among others, the mineral waters do have the same composition, but their health effects differ up to their different temperature and carbone dioxide content. The spectacular strength of the giant spring (Vridlo) makes the beautiful architecture around to look like doll houses. 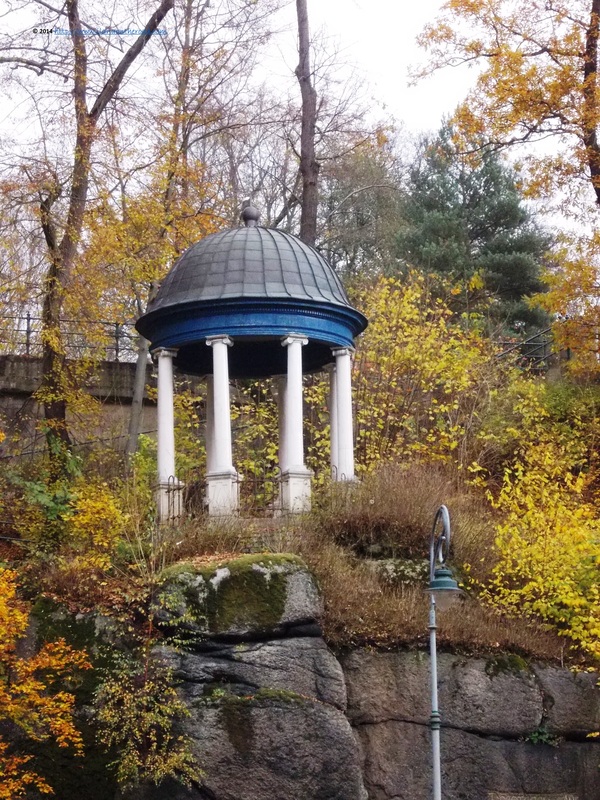 As the springs are spread all over the city, decorated pavillions were made in order to allow people to get to the mineral waters whatever the weather conditions. 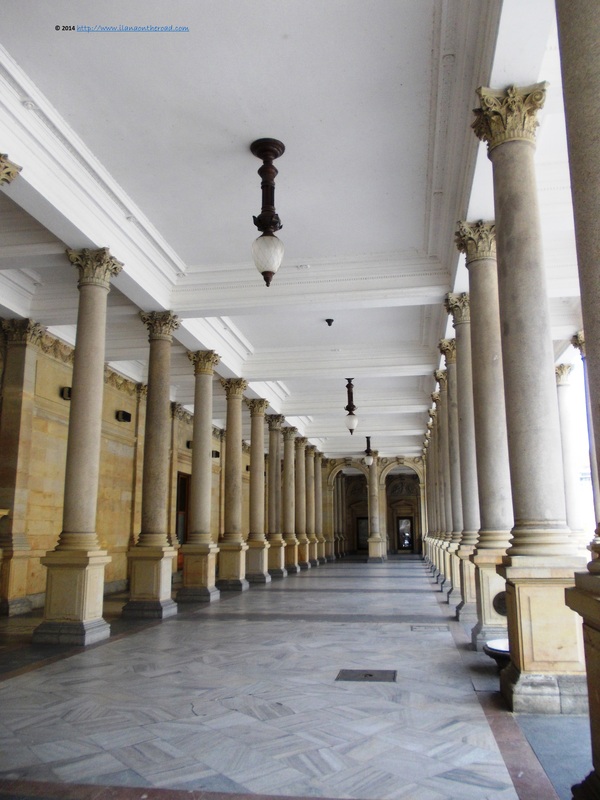 One of the most famous such construction are the Mill Colonades, hosting 13 major springs, built as a neo-Renaissance Temple, by the same architect who designed the National Theatre in Prague. During the high-season, special open air concerts are creating an ambiance that makes the sick visitors forget for a while the reasons they are here. When I am not too busy to find out about the special mineral waters, I am amazed by the architecture, that combines all the possible Central European styles, with fine golden lines matching green decorations, or with Portuguese tiles bordering big windows of building covered by castle-like rooftops. The visitors are busy sipping their mineral waters from the special bottles especially created by the legendary Ludwig Moser, the famous porcelain producer. The pipes were added later. Nowadays, the Moser factory can still be visited, and many of the locals in Karlovy Vary used to work or are still working there. The special patterns of his glass work, oftenly combining porcelain with crystal, are another trademark of Karlovy Vary that can be found on the exquisite lunch tables of many world personalities, including European royal families, such as the new Spanish king. 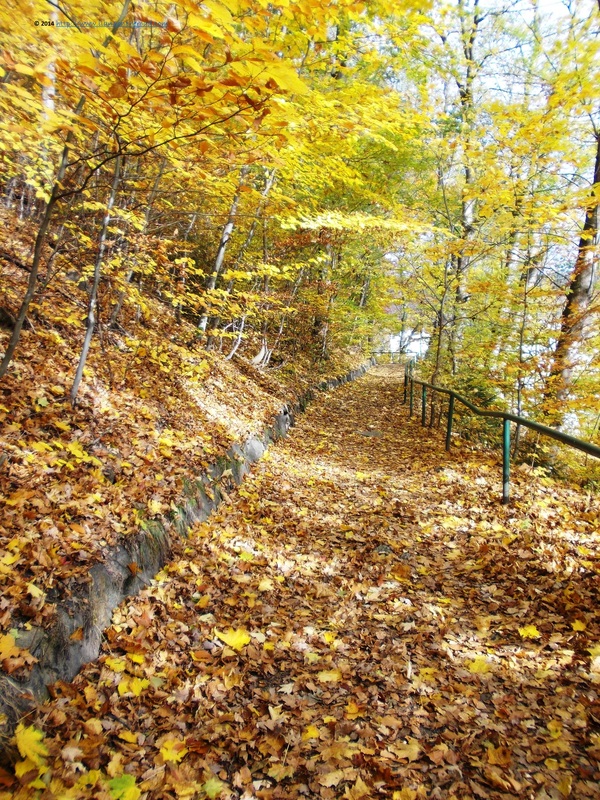 The autumn is the queen of Karlovy Vary now, and the leaves from the parks are displaying passionate nuances of red and burning yellows. 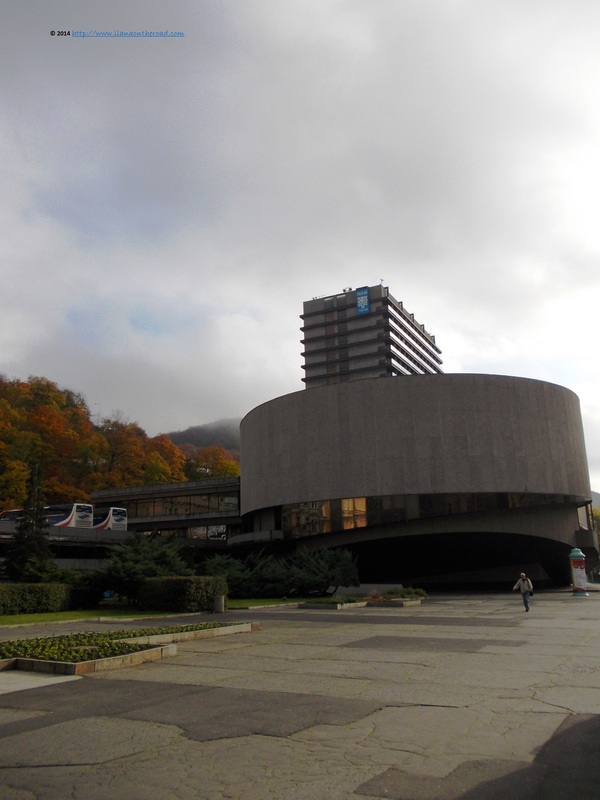 Only the too much serious building of Hotel Thermal, hosting for over 49 years the Karlovy Vary International Film Festival brings you back to a less spectacular reality. Held in the first week of July, it gathers famous movie personalities, among which John Malkovitch, Robert de Niro, Woody Harelson, Sharon Stone, Leonardo di Capri, Gerard Depardieu, Franco Nero or Fanny Ardant. Many of the famous guests do have their own star on the Hall of Fame in the front of the luxurious Grandhotel Pupp, where the VIP guests coming to town are usually hosted. 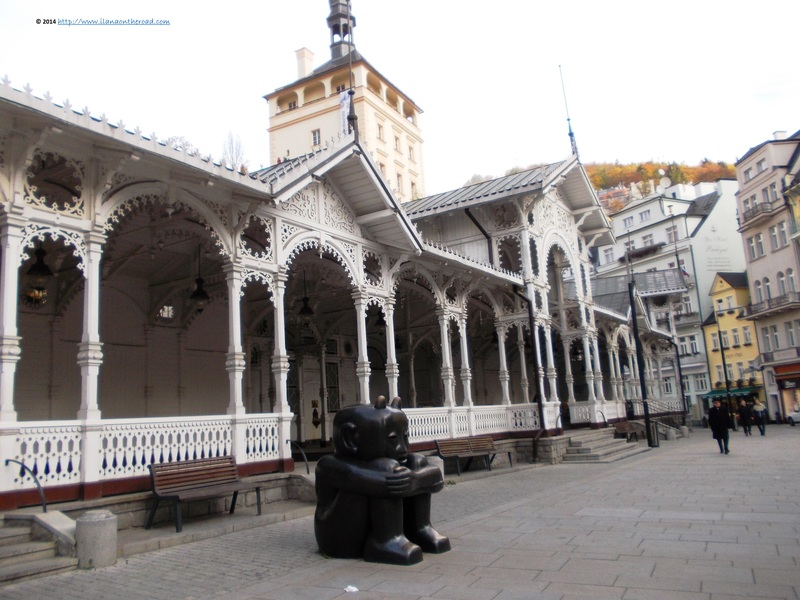 The heavy impression of the film festival venue is easily dissipated by the mild colours of the architecture and the diversity of the options to spend the easy life in Karlovy Vary. 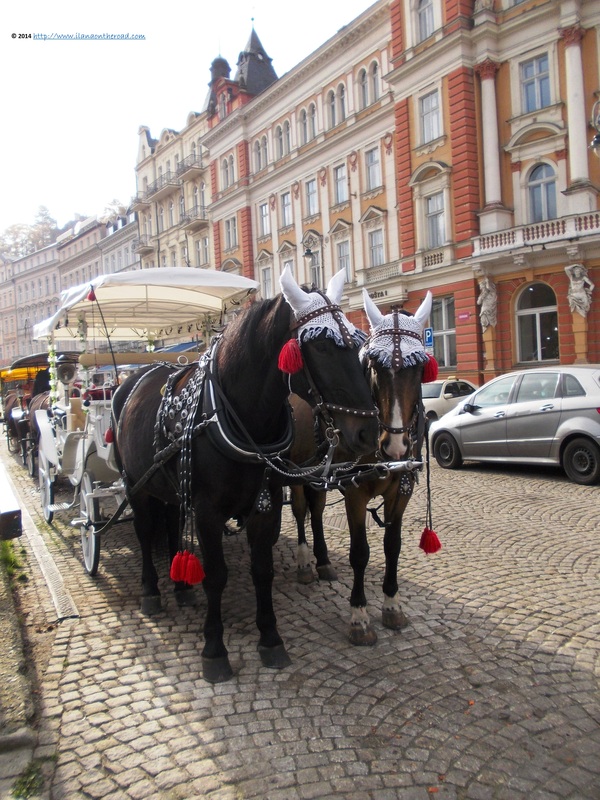 When the weather allows, a short tour by carriage can be a pleasant option. For a short break before planning the next stage of my trip, I am back to the Giant spring area, at Cafe Reserva, where I sip a coffee made with mineral waters – all I can say is that it is a really good strong coffee as I am used with – with some Oblaste, thin rice waffers that are available in town in different flavours. Although buses are available in the city, as well as cabs, I am doing my best to enjoy as much as I can the rays of autumn lights. I pass fast near the tempting shops from Lazenska street, not without a short stop looking at the special Mikimoto pearls, or the Hasi Shopping Center, a building where Freud stayed long time ago, and I go up on one of the many streets around, in an area with many villas and hotels with discrete entrances and huge parking spaces. I don’t need to think twice before heading on an alley with stairs and foliages, till the top of a small hill from where I can see the crowded buildings of Karlovy Vary. 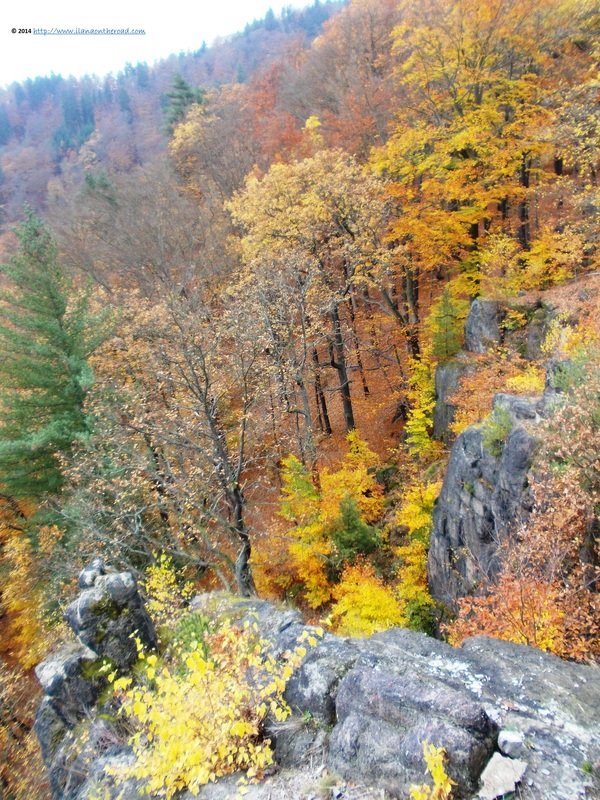 The hiking is short and relatively easy, but comfy shoes are required. Some people do Nordic walkings – there are many such routes in many places around the city – some, like me, just enjoy the pleasant beginning of the afternoon. 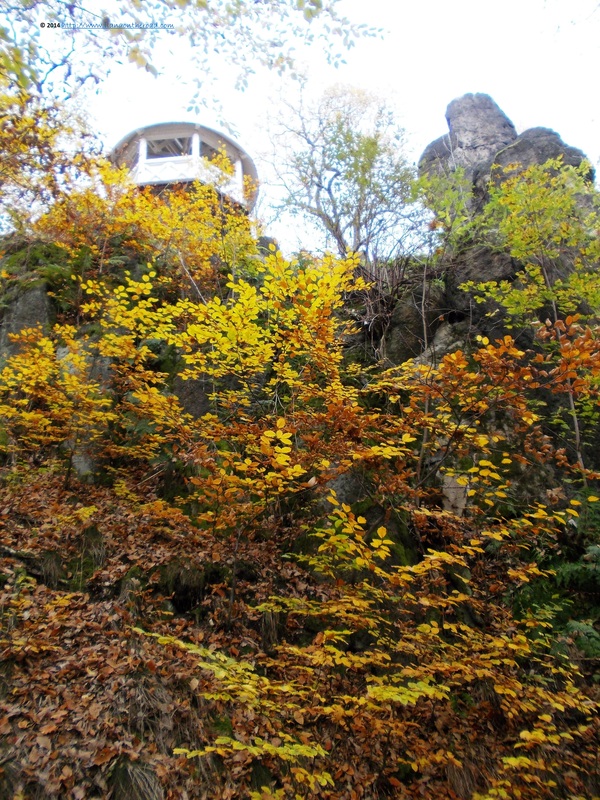 Behind the wild stones covered by leaves, the discrete human intervention makes you feel safe. The beauty of nature is simple and inspiring, and before I am heading back, I enjoy the quietness and the original colours. 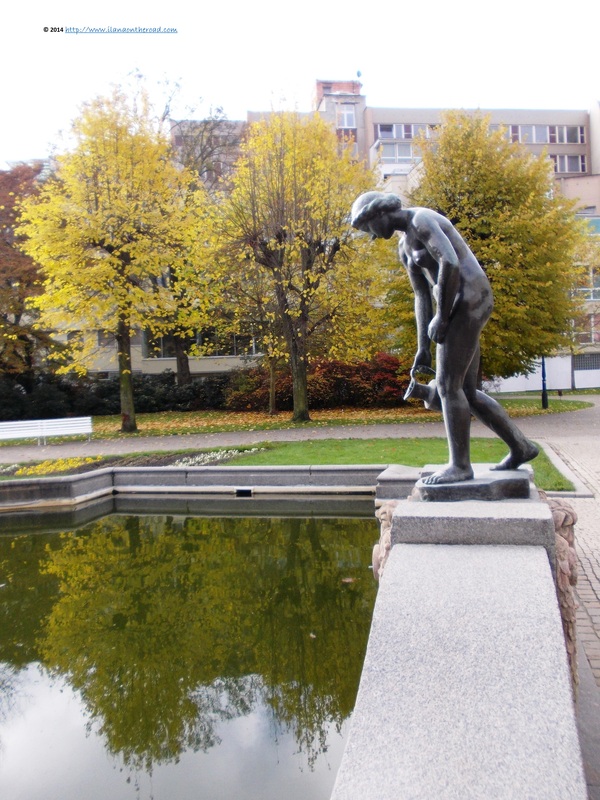 The combinations between nature and hard human work probably fascinated many European intellectuals and crowned heads that tried to found a remedy to their maladies from the spring waters here. 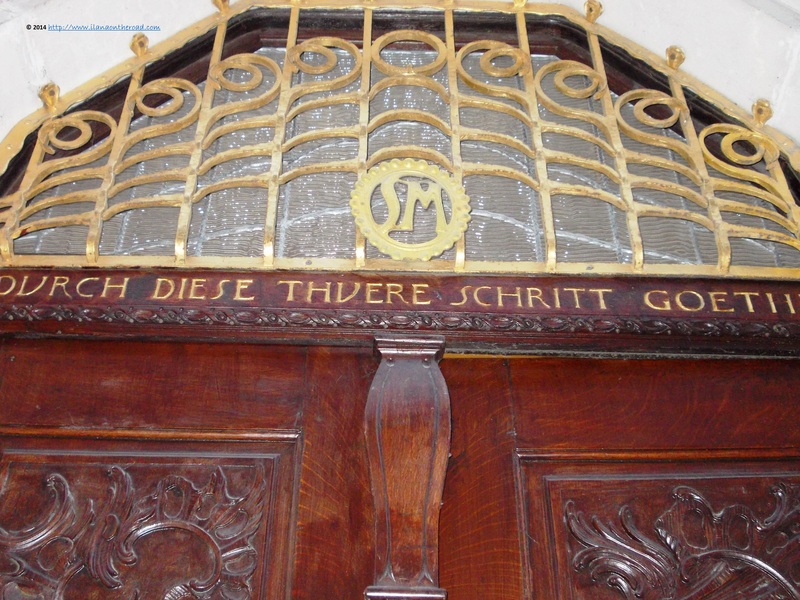 Goethe, who ran here several times for meeting a much much more younger lady, Freud, Marx, Franz Joszef and Sissy who loved so much the oblates it seemds, or Peter the Great for whose highness a special door was modified in order to allow him to go in or the Turkish reformer Atatürk were some of the famous visitors. Nowadays, the visitors only looking for wellness, are tempted with a long list of spa services, that includes a variety of treatments, based on wine, beer, hemp or using various techniques aimed to regenerate and rejuvenate the body and mind (more about the best spa options in town in my next post). My first full day in Karlovy Vary ends with a full tour of the main historical and touristic sights of the city offered by a very talented guide booked by my hotel. As usual, getting in touch with local people brings valuable information, and most hotels are able to offer such knowledge, mostly in Russian and German, but also English. The next day, early in the morning, I am ready for more hiking. I follow the street near the Carlsbad Plaza, surprised to discover also a Thai and Chinese restaurants, after spotting mostly local Czech or German-inspired cuisine, or some classical Italian restaurants. 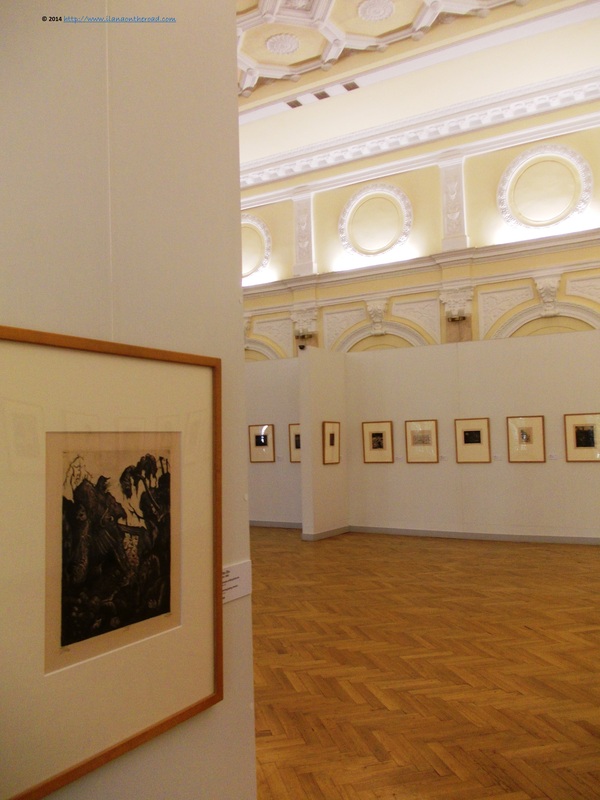 From Goethova street, I arrive at the 60-year old Karlovy Vary Art Gallery where together with some school children I have a look at an art exhibition by a local artist. From the Park Hotel, I start doing more hiking on the top, and the banks every couple of hundreds of meter guarantee that I should not worry for getting exhausted any time soon. 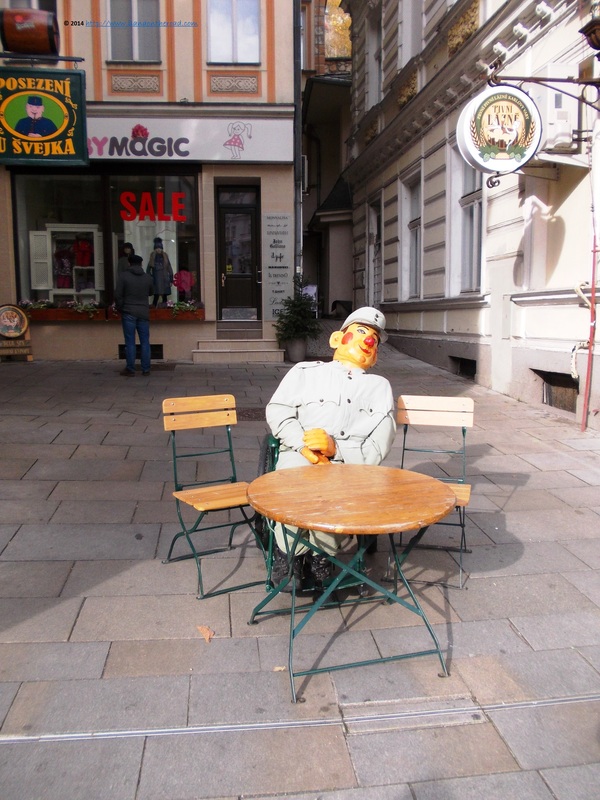 Soon, it is about time to say ‘good bye’ to Karlovy Vary for now, not before saying a last hello to the huge statue of the Soldier Svejk, a typical Czech character, a busy tourist spot for selfies most part of the time. The beautiful pastels of the live exhibition that Karlovy Vary offered me in the last 48 hours was worth the long years of waiting. There are places you might fell in love with before visiting them and following your feelings can prove to be a perfectly inspired decision. Every year it seems to have a favourite city where I am back more than once. Once upon a time was Budapest, or London or Tel Aviv. 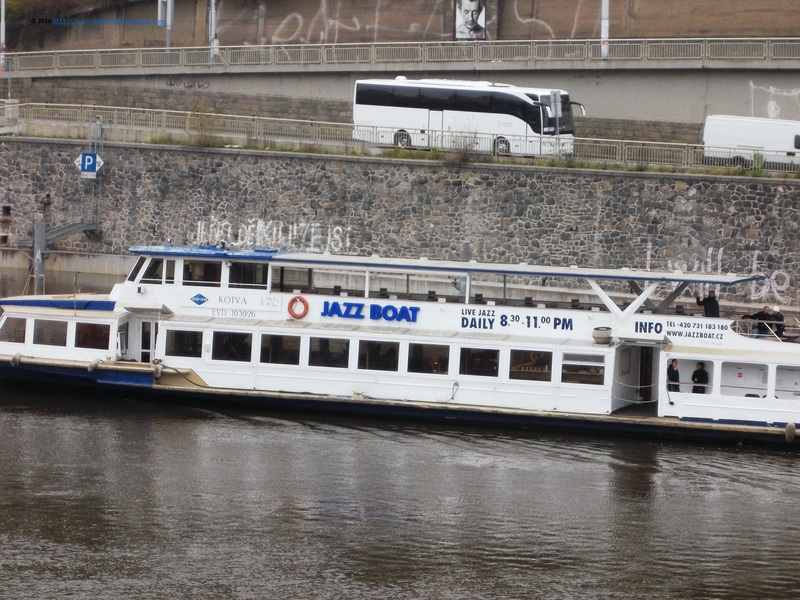 The winner of the 2014 trips was the lovely Prague, which I had the occasion to visit at least four times this year, after more than 2 trips on previous occasions in the last years. 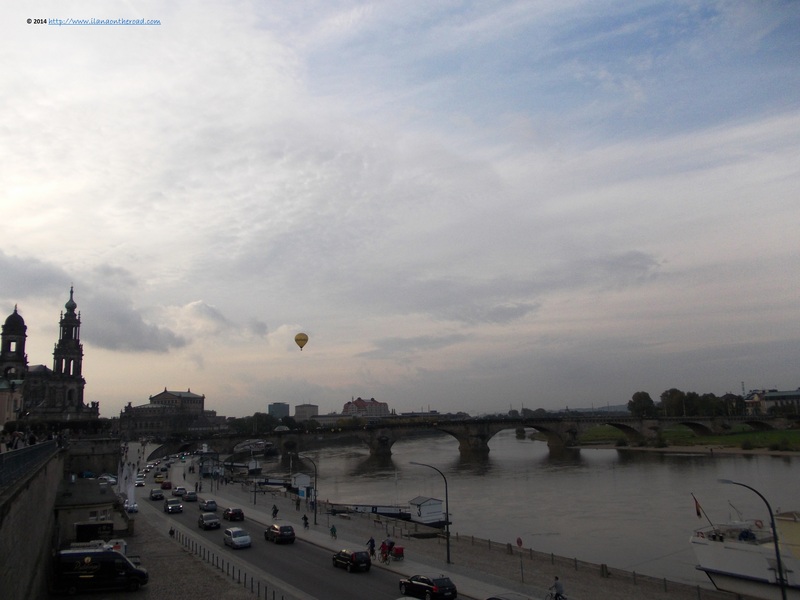 This last time, as it was a spontaneous trip, I tried to spot those things that should be on the bucket list of the traveller to Prague, and mostly can be done without too much money or special efforts. 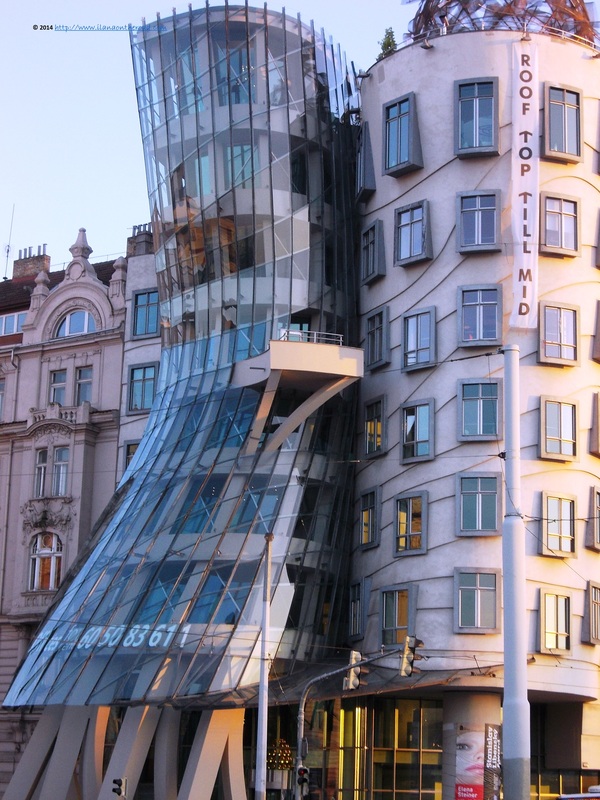 During my first trip to Prague, the spectacular Dancing House – nicknamed Fred and Ginger, after the famous dancing partners Fred Astaire and Ginger Rogers – caught my eyes. Designed by Frank Gehry in collaboration with the local architect Vladi Millenic, it goes against the classical standards of local architectural beauty, but it definitely has its special charm. If you see it once, it’s hard to forget it! 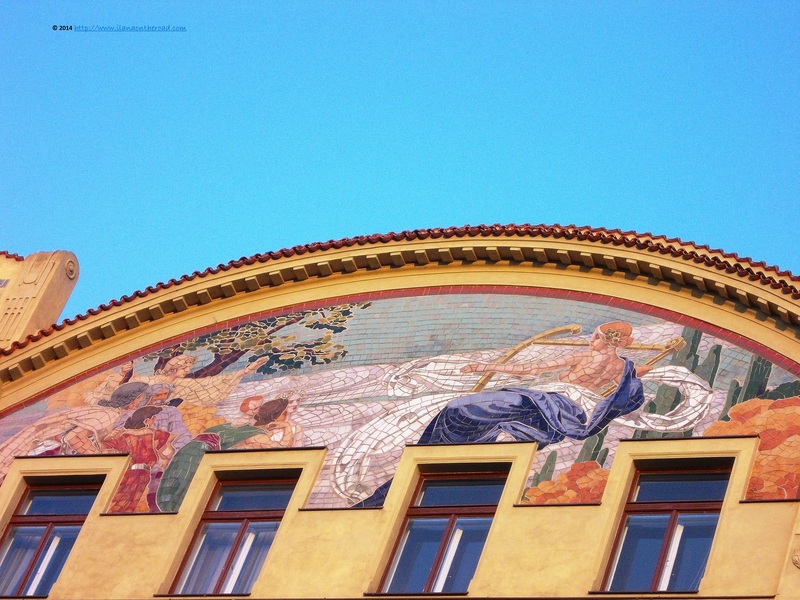 The lovers of classical architecture and especially of Art Nouveau, will have a lot of opportunities to nurture their eyes with beautiful apparitions. All you need is to learn how to use your eyes. After the first hour of walking around the old city, it will easily become a habit to speedily browse with the sight every building looking for some special unexpected corner. There is not only the Charles bridge. 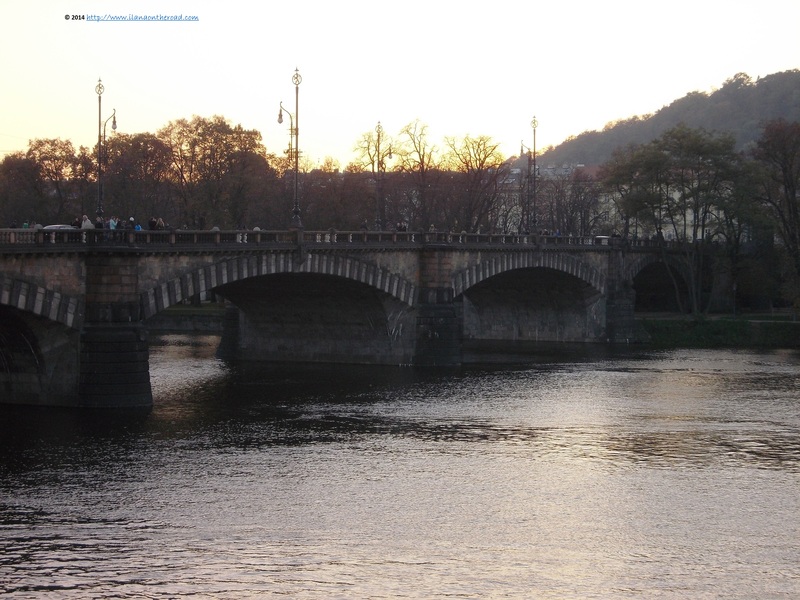 Although the most famous, it is only one of the 10 bridges over Vltava river. Many of them can be crossed by foot. 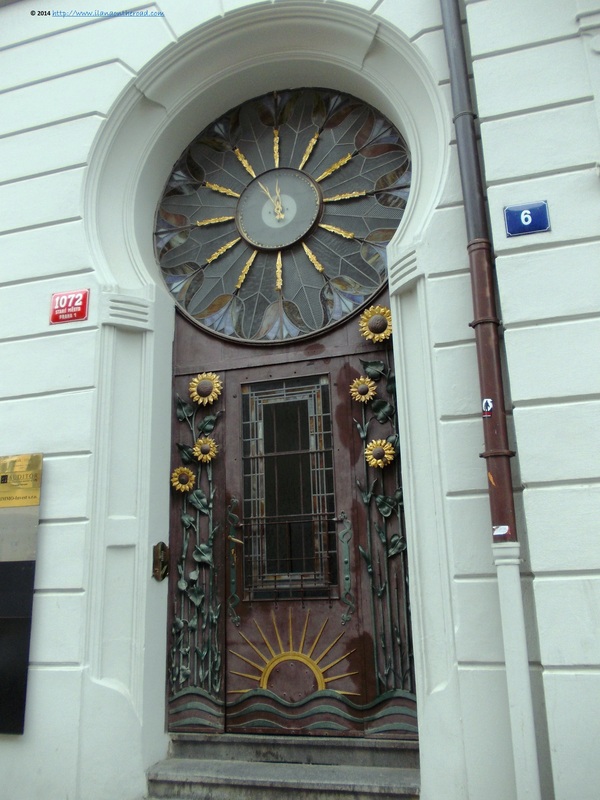 Prague and the Czech Republic are famous for their exquisite glass art. 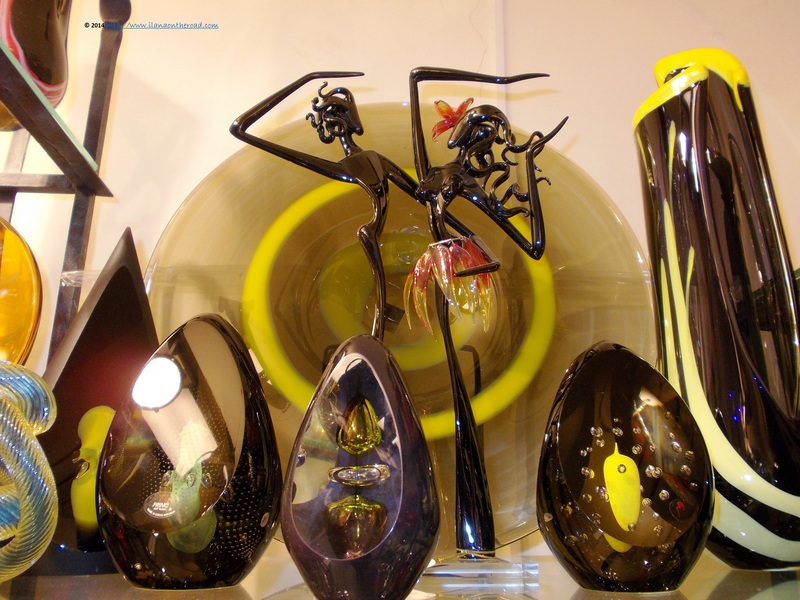 Around the capital city, there are a couple of glass factories that can be visited, but otherwise, the best works of glass art can be admired in the small shops, some of them also offering live workshops introducing the visitor to the secrets of this traditional craft. Booking in advance is not necessary. 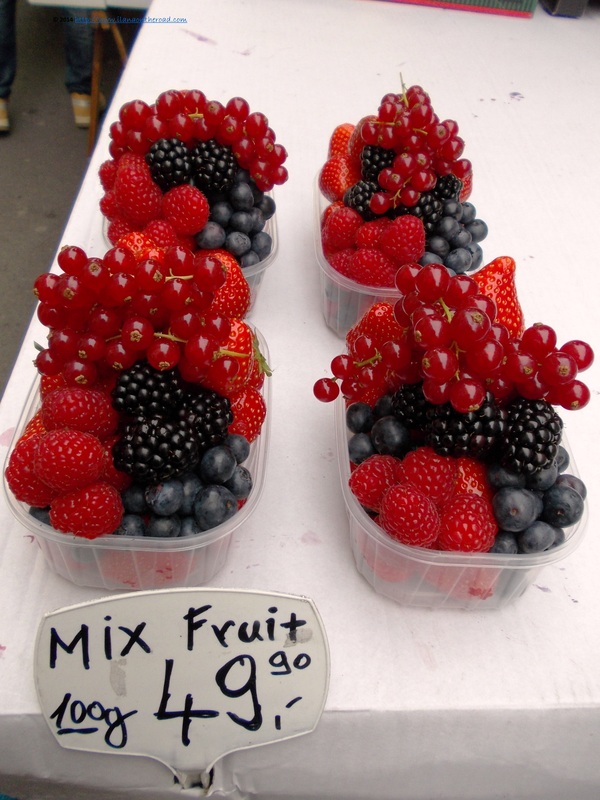 If you start your journey early in the morning, it’s hard to avoid the open markets, selling besides souvenirs, among which various drawings, also fresh fruits and vegetables. My newest discovery was the Havlova Market. Some of the local samples of architecture are more than simple habitats, but decorated as unique works of art. 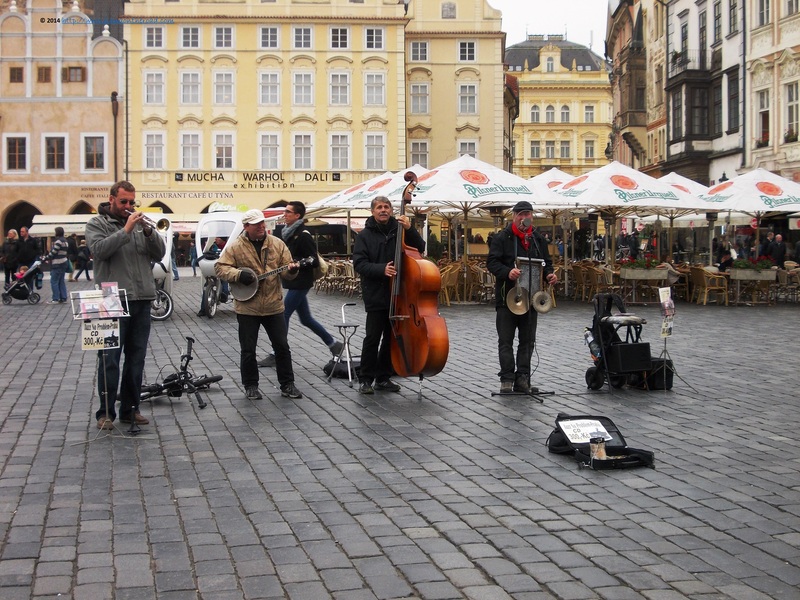 Prague is a traditional city for jazz lovers. One of the famous one is Reduta, but there are many others inviting places for those passionate about this music style. 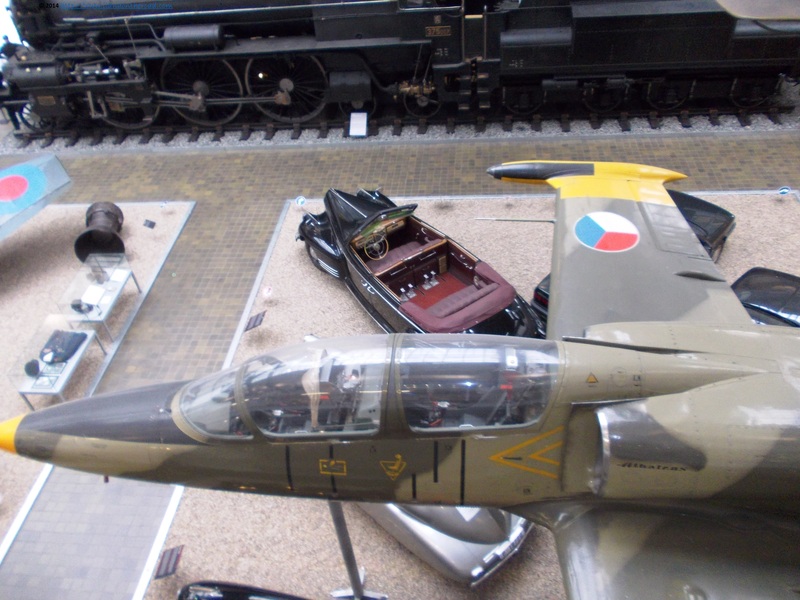 The newly reopened Prague Technical Museum offers an extensive introduction to the Czech industrial history, with its samples of cars, airplanes, balloons and bikes. An interesting journey also for the non-practical humans, like this writer. If not necessarily in the mood to spend one or two or three late nights in a club with live music, it’s easy to have your own musical auditions. Some of the bands can be really good so they fully deserve some $$. 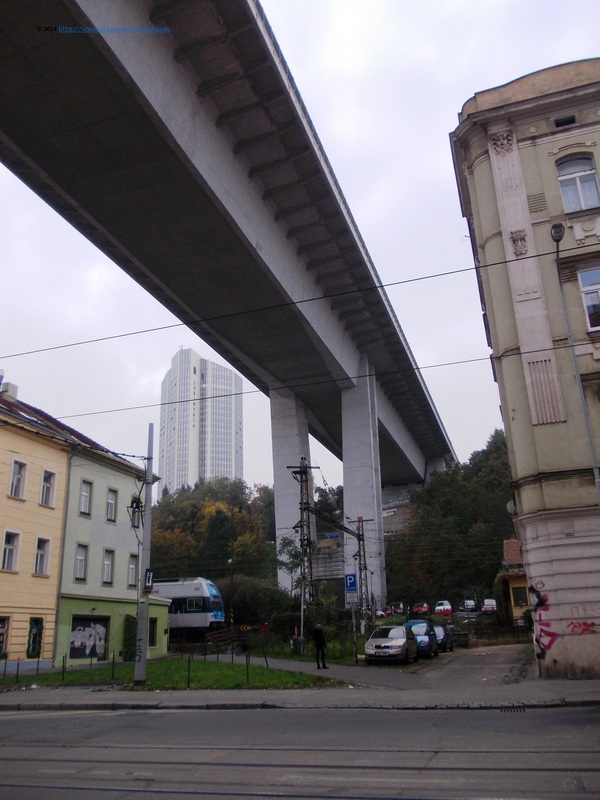 While walking in a completely new area during my last trip, I was surprised by the ugly yet interesting insertion of the highway in the middle of the small buildings from the Vinogrady neighbourhood. 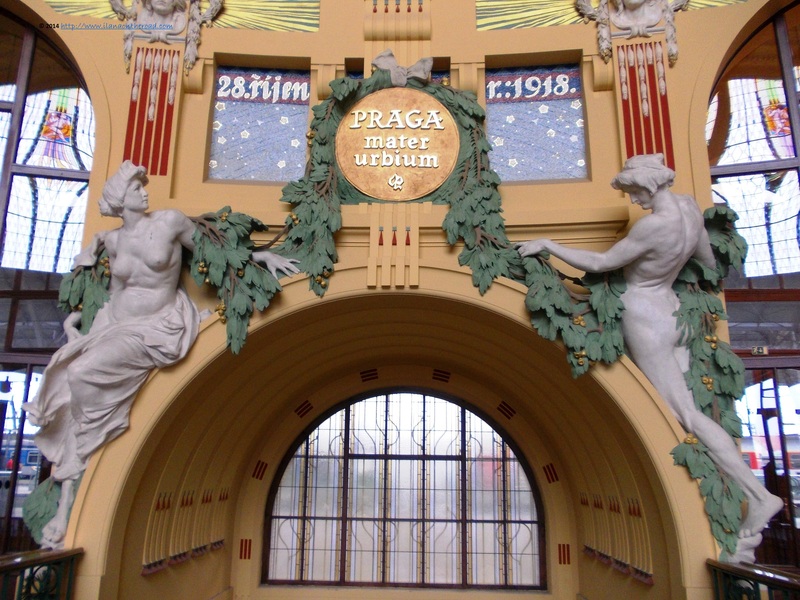 My first encounter with Prague took place at the Art Nouveau decorated Central Station, as I was coming by train via Budapest. 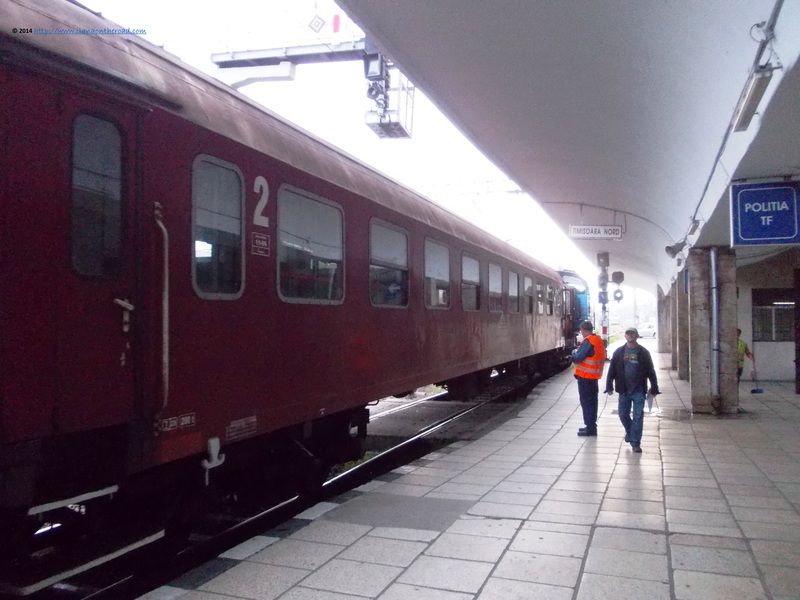 Built at the beginning of the 20th century, the Hlavni Nadrazi – the busiest railway in the Czech Republic – went through massive renovations in the last years. Although Prague is still an affordable city for tourists, little by little it is developing its luxury side too. 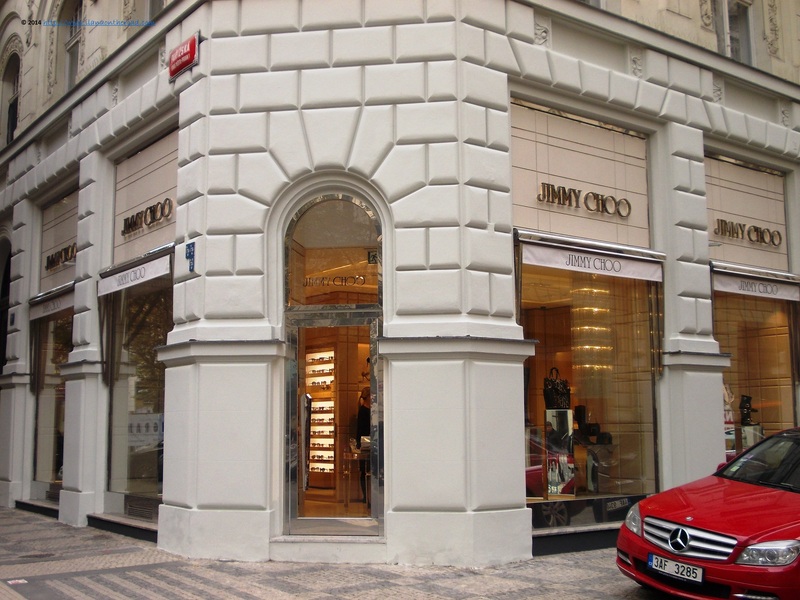 Proof: the recent Jimmy Choo boutique opened, where else, but on Parizska – Paris – street. 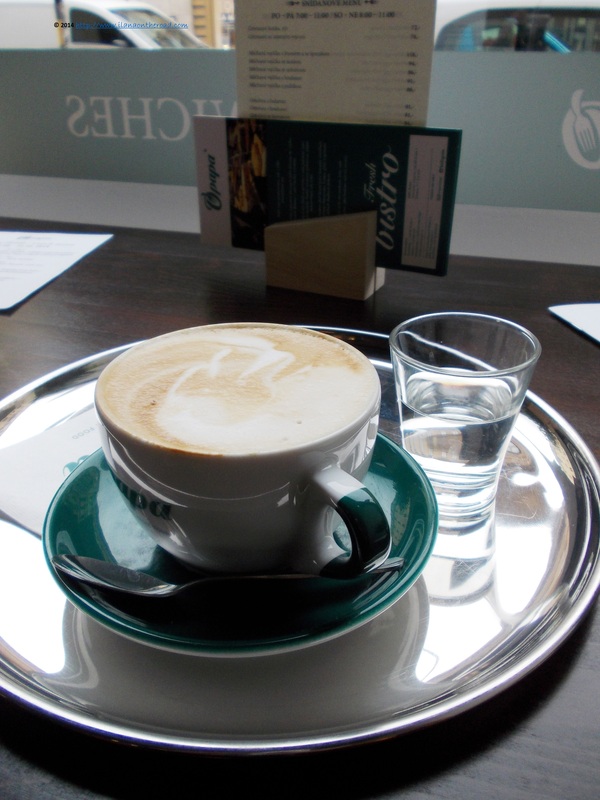 If not in the mood for some luxury shopping, a good coffee, near the window, from where you can observe the daily coming and going of the street is a good solution. 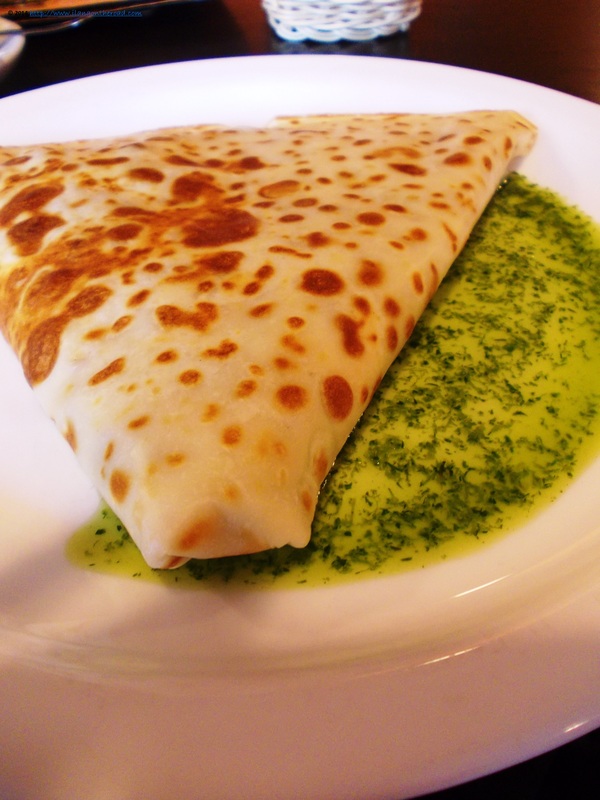 This time, I tried O’Papa, a quiet bistro with a lot of healthy food options too. 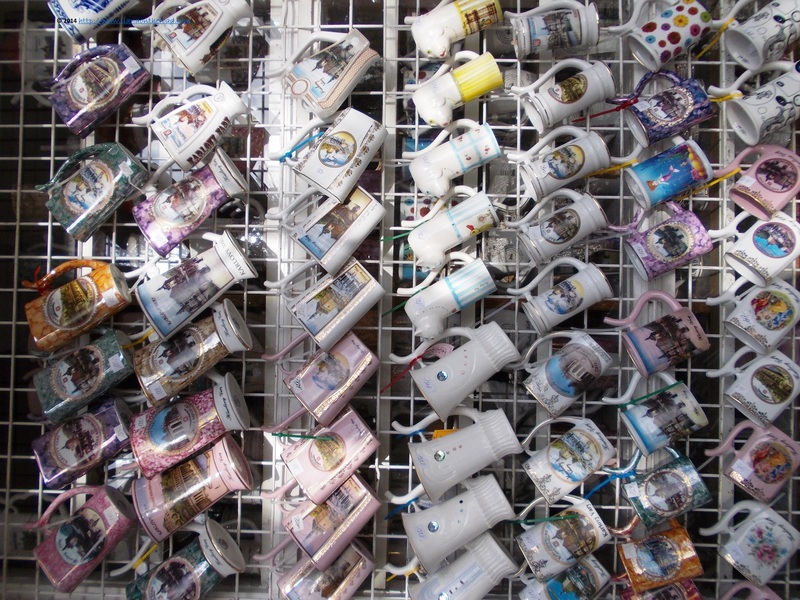 Last but not least: don’t forget to try some good traditional Czech beers. 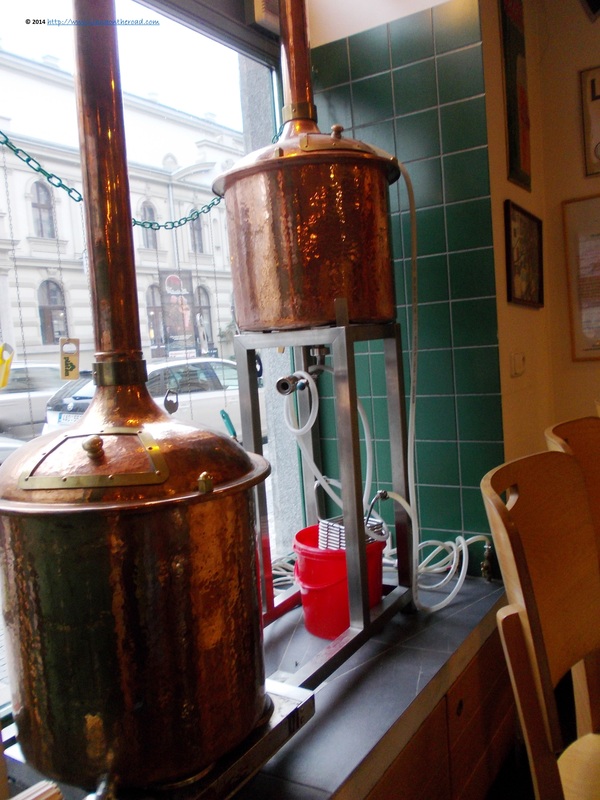 Near the Florench bus station, you can find the smallest microbrewery in the world, Pivovarsky Klub. 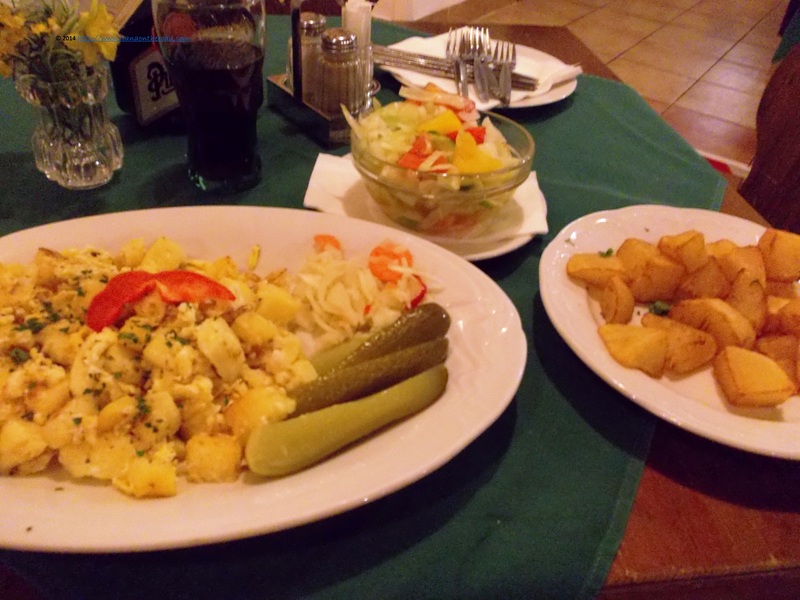 Don’t forget to order some traditional Czech food too! 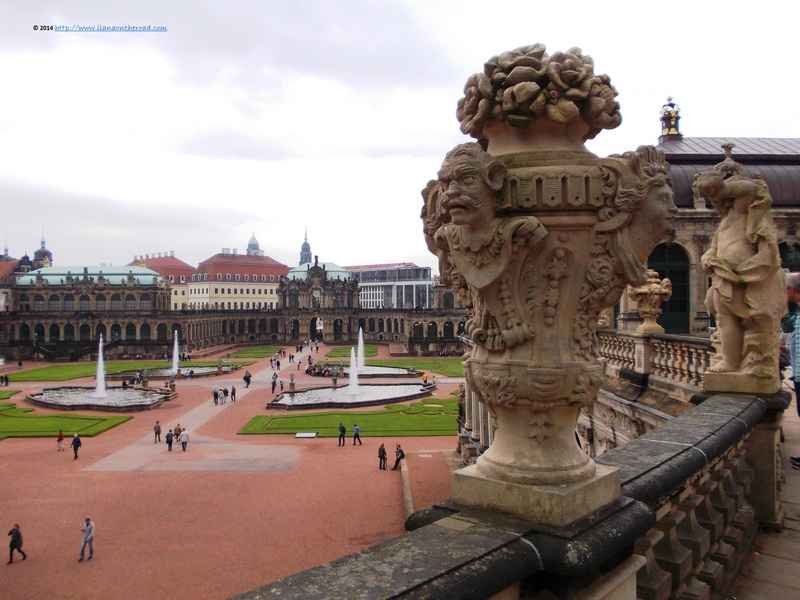 I’ve been to Dresden several times in the last years, but never had enough time to spend a full day exploring the city. This autumn, I decided that I should hurry up to find some sunny day for spending more time outdoors and for some quality time in the city. Apparently, I had enough luck to took the pictures of the places that were either covered by snow or by the dark during my last visit in February. But I also had a couple of surprises. 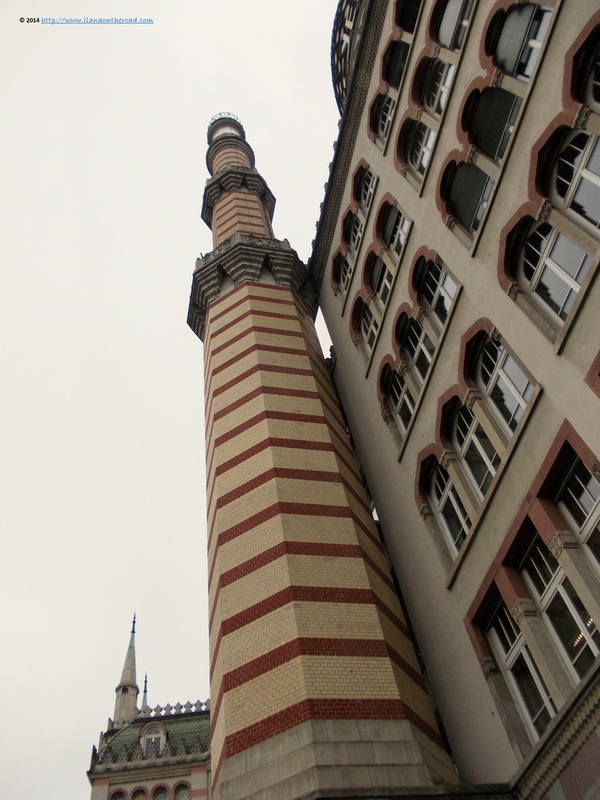 For instance, the building of what I first thought it must be a mosque. 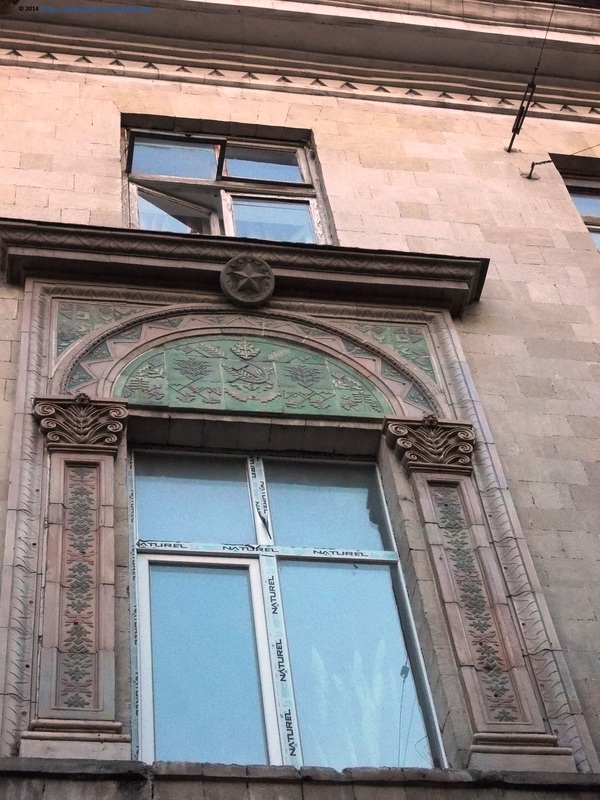 Once I come closer and made my way to the building, I found out that, in fact, there is the building of a local cigarettes factory, Yenidze, hosted in a building whose architecture was aimed to remind Turkey, the main provider of tobacco at the time. Built between 1907-1909, nowadays it only hosts various local offices. It also has a restaurant with a stained glass dome and almost 600 windows framed in various styles. 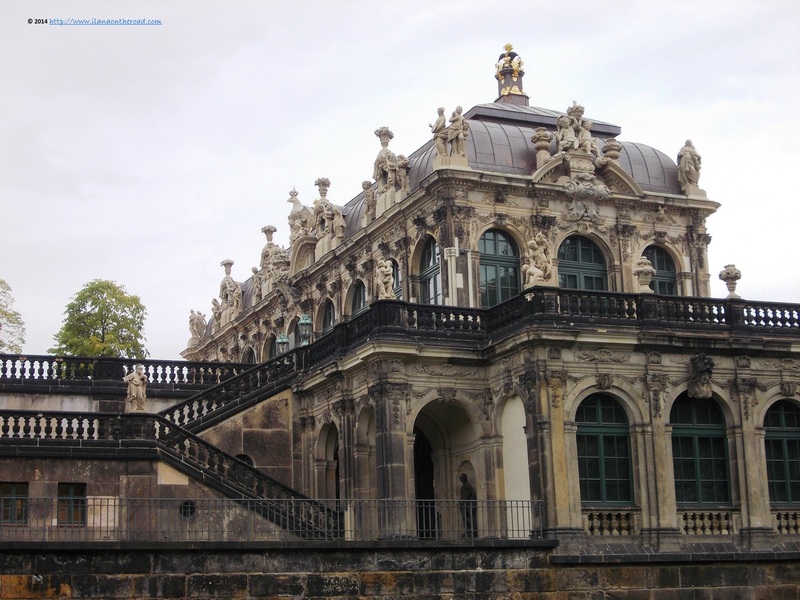 From the unusual presence of the former cigarette company, I kept walking the Ostallee, passing near the Pressehaus and the headquarters of the Morgenpost, straight away till I arrived at one of the most important destinations of my trip for the day: the rococo-style of Zwinger. The name refers in German to the enclosed ground near the castle, filled with water right now reflecting the beautiful geometry of the place. The only danger is to come closer and want to jump into the water to reach faster through the castle’s gates. I followed the usual way and decided to spend more than one hour going up and down to the stairs of the smoked stone building. Every corner was revealing new spectacular geometry and windows to a delicate world: the Porcelain permanent exhibition, that reminded me that I’m only less than one hour away from the Meissen porcelain factory; the Old Master’s Gallery with its Tintoretto, Cranach and Tizian, Vermeer and Rembrands, or The Royal Cabinet of Mathematical and Physical Instruments. Before entering the exhibition rooms, I am doing my best to do not look too much at the tempting gardens. After my cultural hunger is calmed, I am back on the terraces, trying to figure out the secret meanings of the garden’s geography. I’m glad to enjoy the pleasant presence of the carefully manicured green lanes that were completely out of sight covered by snow the last winter. 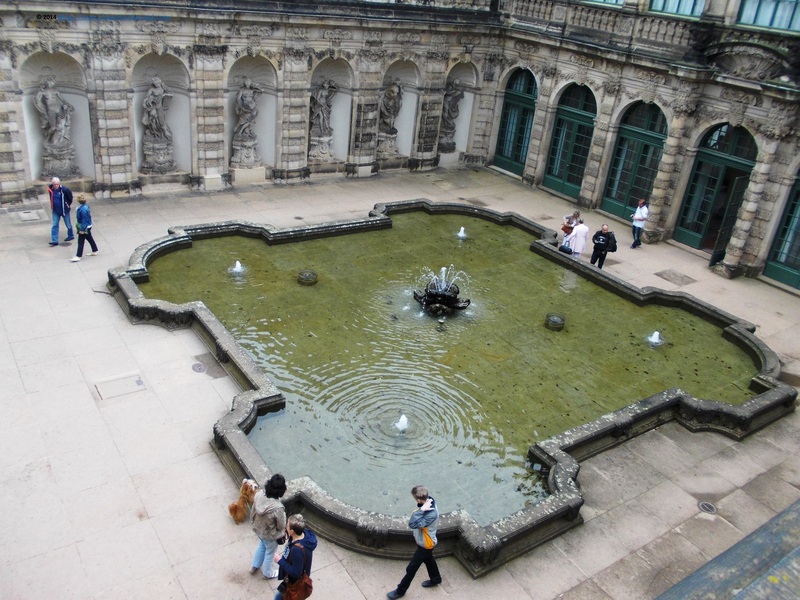 From the large perspectives of the gardens, the sight is forced to focus on small interior yards, with fountains hosted within the stone limits of symmetrical shapes, guarded by exuberant statues that look like ready to go out of their corners in any moment. Such a passionate outburst of passion, hard to believe that can be encountered in a place surrounded by stones keeps inspiring artists that moved their workshop here. 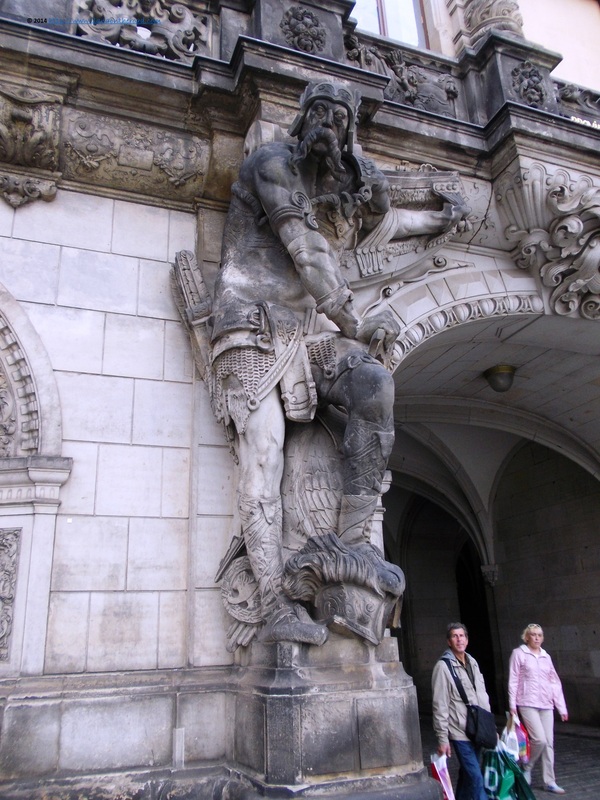 Leaving the Zwinger with a heavy heart, only the huge statues of scary fighters helped me to forget my sadness thinking that I have no idea when will be able to spend my day admiring such a green view. In the Market area, it was the time for the Autumn Market, that was open till the beginning of October. 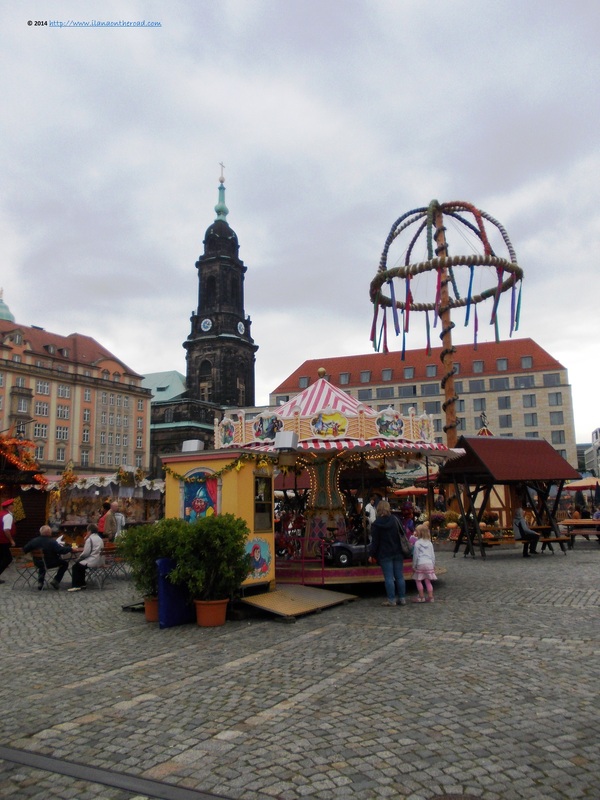 It seems that the winter markets are that successful that people do need some intermediate seasonal entertainment to keep the festive mood. With almost half of the to-do-list done, I reward myself with a vegetarian meal at Capetown’s Restaurant, my first full South-African menu. Finding a vegetarian selection out of a long list including crocodile, zebra, ostrich and kangaroo was not easy. My Zulu potatoes with pesto were simple with good concentration of oil and pepper. 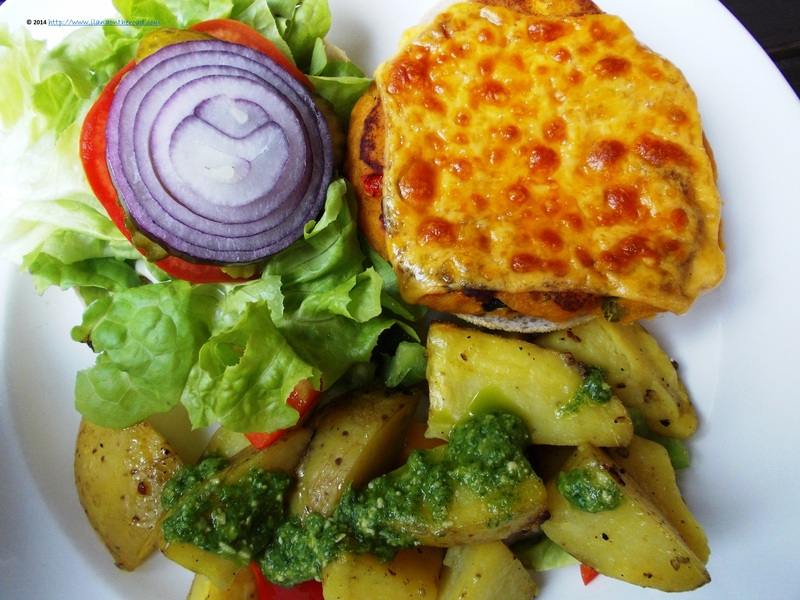 The veggie burger with cheddar cheese, and an onion and tomato salad were not the biggest culinary achievement though, as the tastes simply did not match or maybe because they were not warm enough to melt together successfully. The chilli honey sauce re-established the balance and almost saved the meal. With fresh forces, I am heading in the different, not yet explored part of the city, where the old communist kind of apartments are predominant. 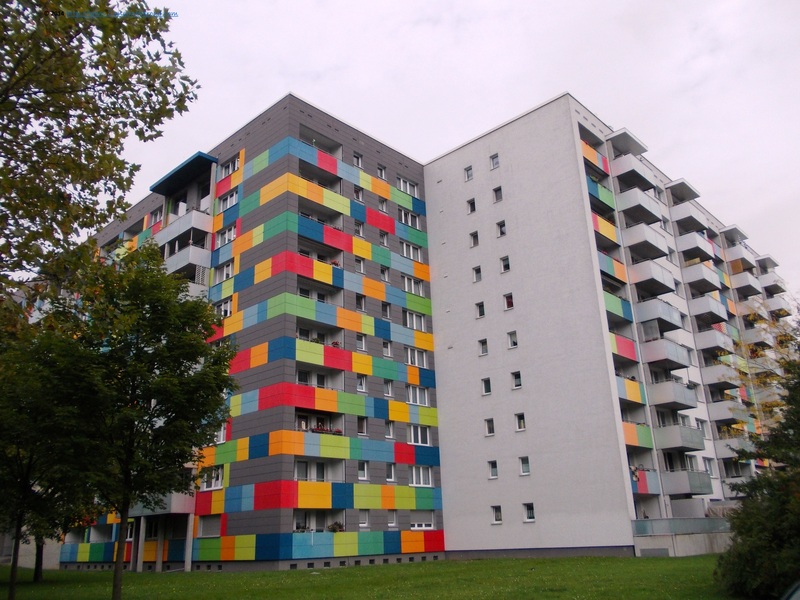 The local authorities were smart enough to repaint them in a very colourful combination of colours that gave them a more modern look. The ones in Strasburgerplatz kept my eyes entertained while waiting for the tram. I haven’t visited a zoo for a long time, and it seems that the welcome at the one in Dresden was a subliminal message that I should keep my contact with the animal world: tram stations with bamboo sticks and a background noise of birds. 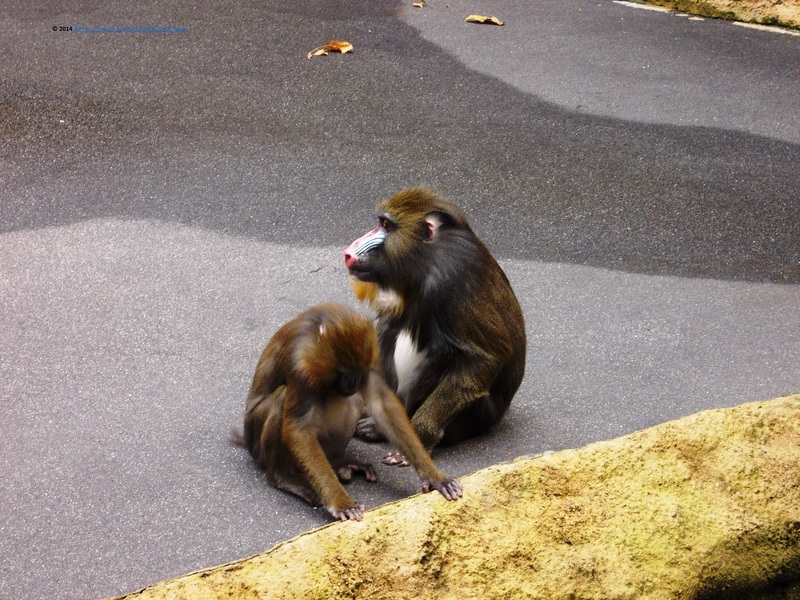 Once inside, I preferred to observe the Mandrill Monkeys at Afrika Haus. They were not bothered by the curious eyes of the visitors and kept playing or check their fur. 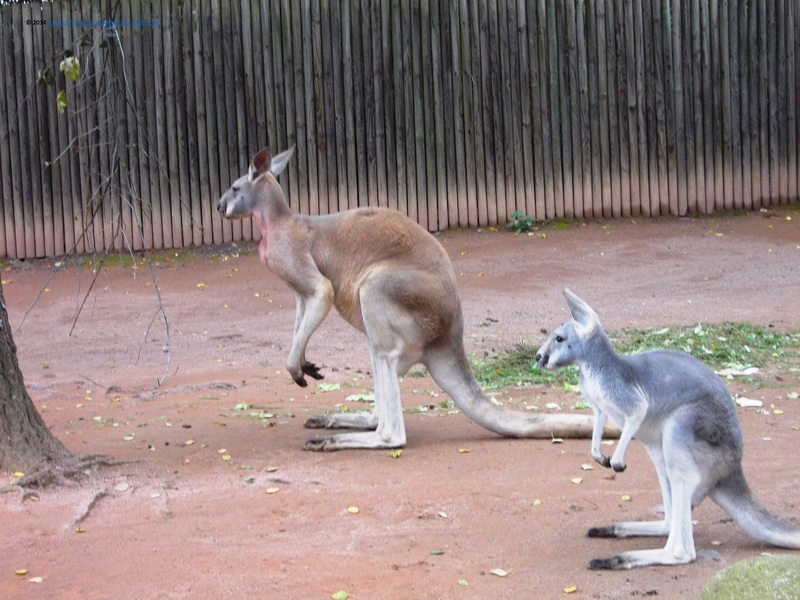 Australia is well represented, especially by the happy kangaroos jumping one near the other around the yard. More time was spent photographing the snow leopard, the North American porcupine or the Humbold penguins. The Zoo also has a very colourful collection of season’s flowers, among which the beautiful autumn dahlia. 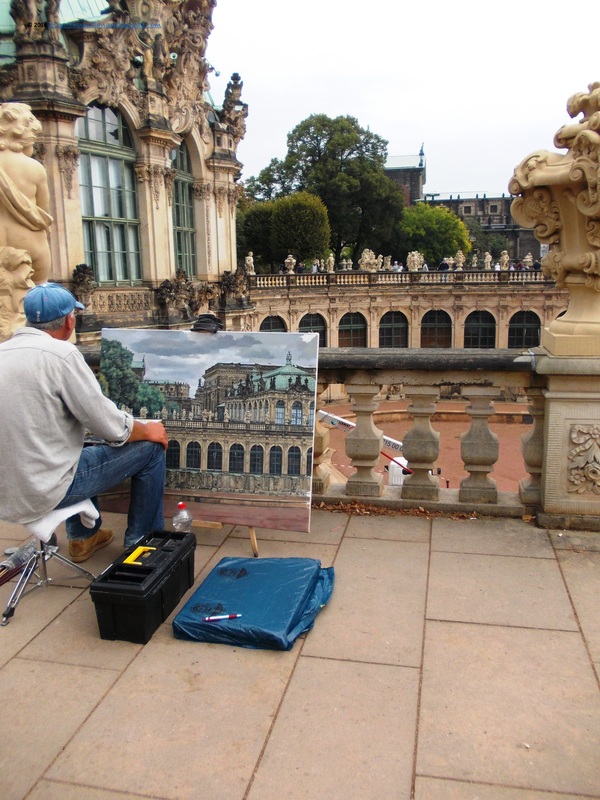 From the Zoo, I headed to a completely new area for me: the Neustadt, the new part of the city, that was turned into a huge workshop of street art, local handworks, ethnic restaurants and a lot of meeting points for the young people of the new Dresden. Lloyd’s coffee, with its yellow leather couches, purple wallpapers and fresh flowers on the table, it’s also offering afternoon tea for the Brits-in-the-making locals. Too busy to wait for around 40 minutes till the tea would be ready, I chose an Ayurveda herbs and ginger tea: deep herbal perfumes added to the wake-up call of the ginger. All over the streets, but especially on Bohmischestrasse, there is a lot of street art – different styles and messages, from the world of the video games to the abstract paintings. 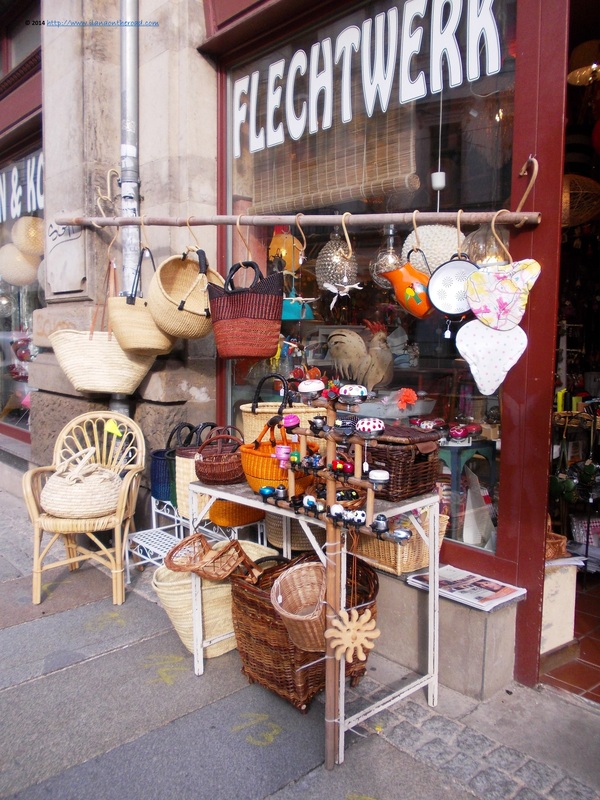 The English bookstore on Rothenburgerstrasse – Beyond the Pond – also sells various products Made in the USA. 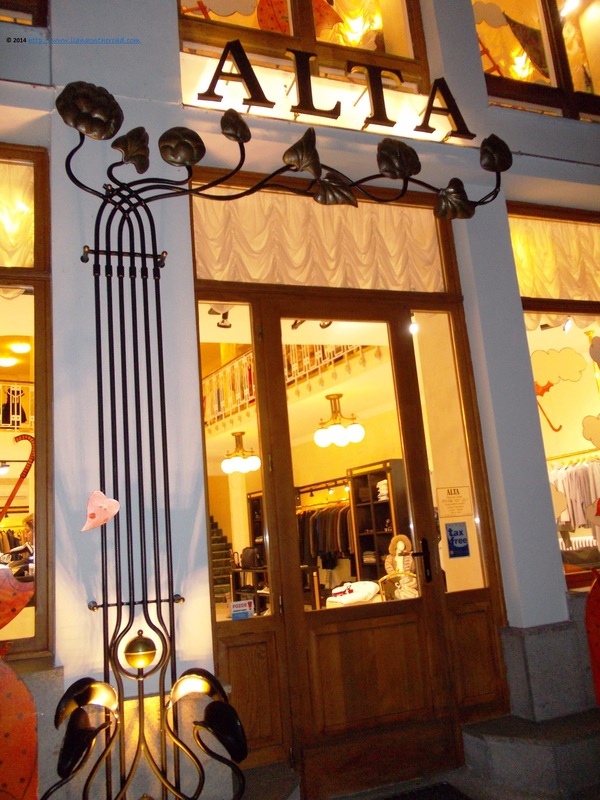 So bad that not enough time to check properly the jongleria shop, on the same street, or the fashion atelier Sumeria. 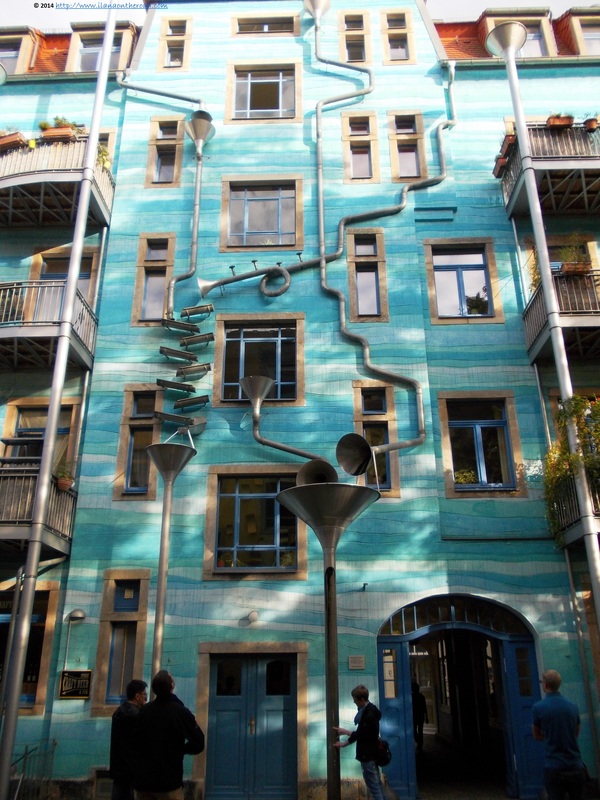 The highest concentration of creativity is in the Artists’ Court – Kunsthofpassage: from various ateliers of local artists to shops selling handmade jewellery or clothes. So much concentration of creativity left colourful and ingenious footprints on the walls, yards and almost every corner of the buildings. After diminishing my thirst for art and interesting things in general in the creative ambiance of the Neustadt, I’m back in the historical area where creativity, although from a different area, keep surprising the visitor with unclear artistic messages. 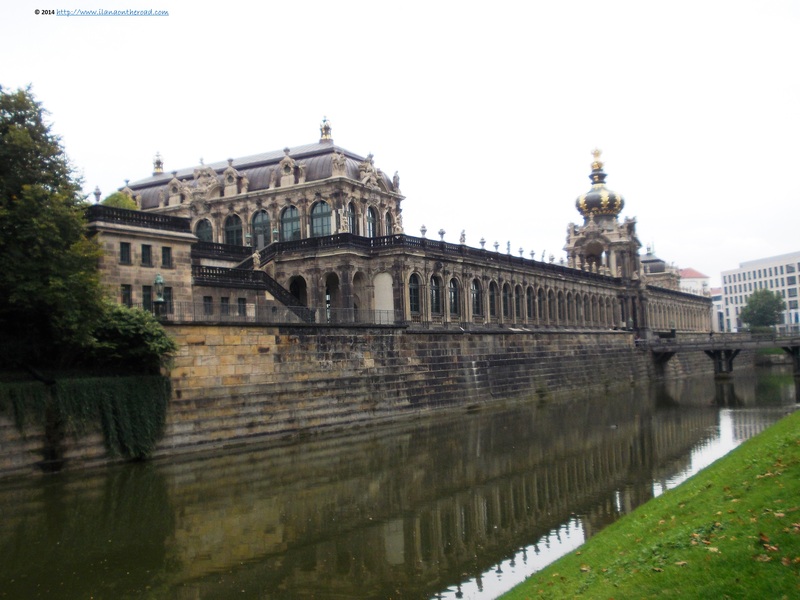 The early autumn dark reminds me that it’s time to leave again Dresden. But this time, I was finally able to carefully document its old and new faces, two equally interesting sides of a city able to balance both its future and past. If you ask me, I dream to go back and properly explore the life of Neustadt. Maybe a next time. With only a couple of weeks – hope months – before the winter, the memories of the busy travel summer are still around. For over a month, I did an intensive country hopping, that lead me from the South of Germany to Switzerland, Liechtenstein, Hungary, Romania and Republic of Moldova. Usually, I’m the kind of traveler that can’t wait to arrive at the destination and thus, the airplane is always the choice no. 1. This time, I wanted to challenge myself with more slow travel and thus, alternated between (many) regional trains, buses and even mini-buses. 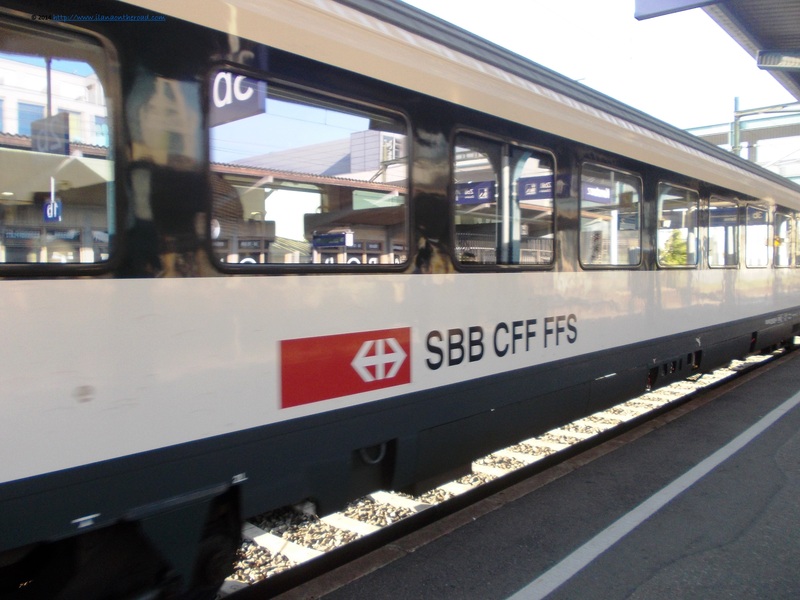 From Konstanz, for instance, I used a regional Swiss connection, booked only 2 days advance from the train station in Konstanz. Surprisingly – and given the usual high prices I’m usually treated by the Deutsche Bahn – I got a very good price. The trains look good, with friendly personnel that helped me politely to get in time the shortest connections for the next destination. From the Eastern side of Switzerland to Liechtenstein, there are short-term buses, comfy, with a bit of air condition that goes in the middle of a beautiful scenery surrounded by spectacular mountains and quiet small houses. 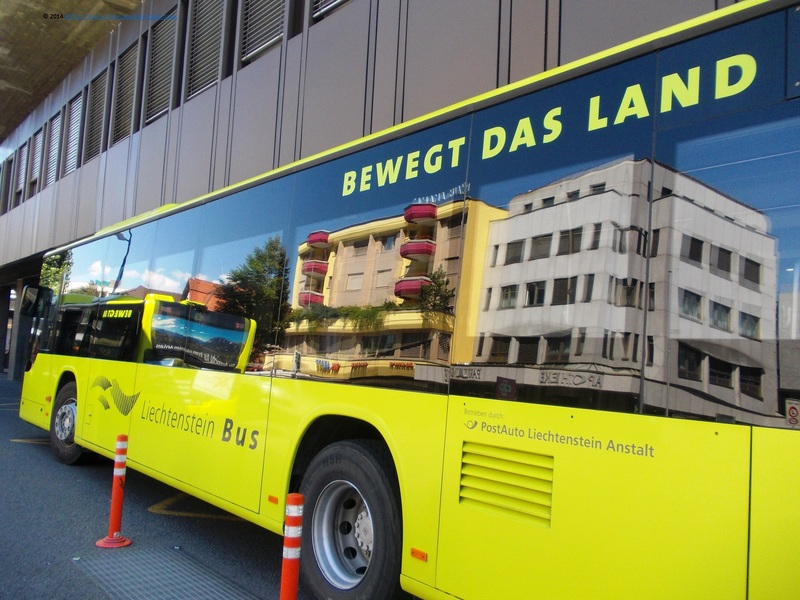 With the help of the Adventure Pass kindly offered by Liechtenstein Tourism Office I was able to explore extensively Vaduz, but also to use the public network for free for commuting in different parts of the city. 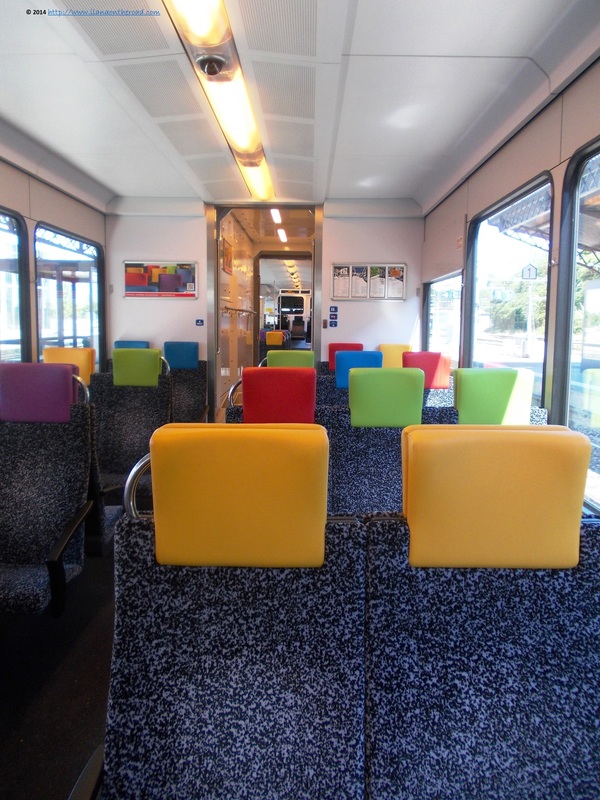 On the way back to Konstanz, I tried something slightly different regional transportation, using some colourful little trains. When you switch so often countries, expect to significantly improve your linguistic proficiency. During my travels, I did my best – and sometimes succeeded – to leave the English for emergency situations, while using as often as possible the local languages of the country I was visiting. Don’t ask how your brains could feel after changing from German, then to French, then to Hungarian and then to Romanian. Due to the close neighbourhood, and the varied professional opportunities, it’s pretty easy to commute from a country to another in Europe: for instance living and shopping for food in Germany, working in Liechtenstein and eventually spending some summers in Switzerland. The trains around 15 o’clock and later are always busy with commuters, many of them ready to use the travel time to solve some important issues using the wifi opportunities on the board. 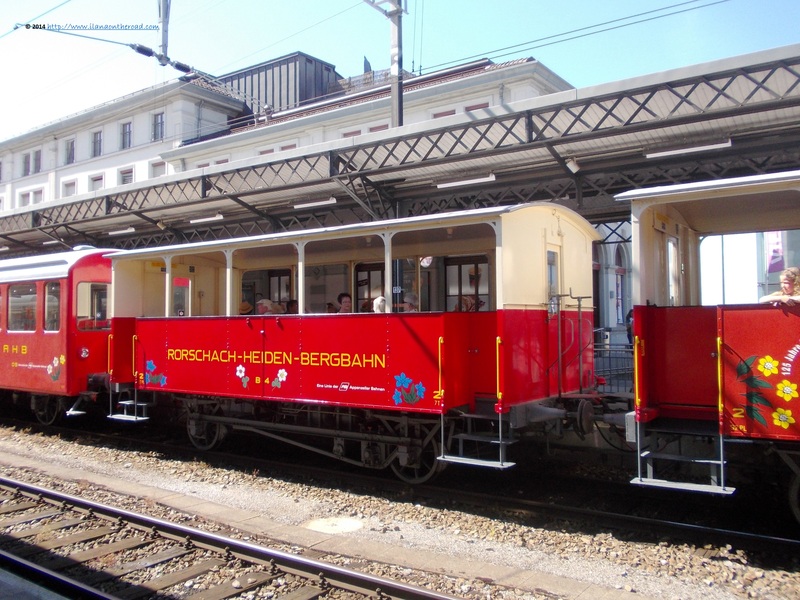 Meanwhile, the little colourful trains ready to go in the scenic Switzerland destinations are calling to relaxing and enjoying the summer days, when possible. During the summer vacations, there is possible to take various rides in different popular locations, with windowless trains allowing real life landscape experience without leaving your cabin. 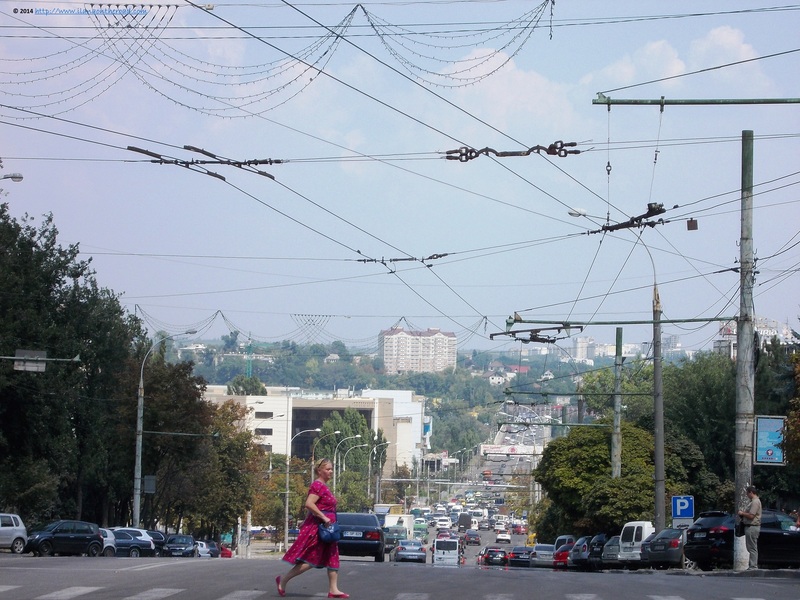 Compared to the glamorous West, the Eastern part of Europe might be a bit shocking at the first sight. Many train stations look like there were never enough funds in the last decade to invest in the rebuilding, and some people hanging up around can be a bit intrusive. 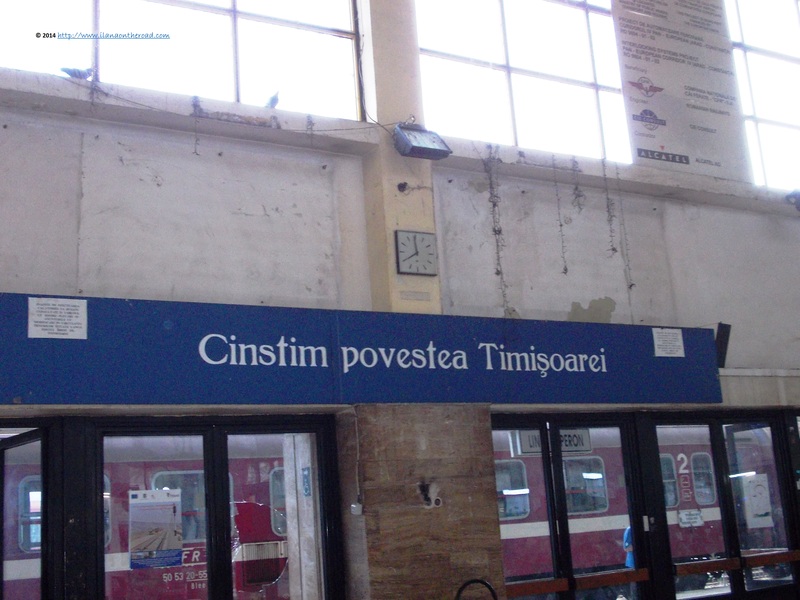 In Timisoara, for instance, I was surprised by the kind help of the lady from the ticket counter who helped me to find a simple and cheap connection to Brasov. 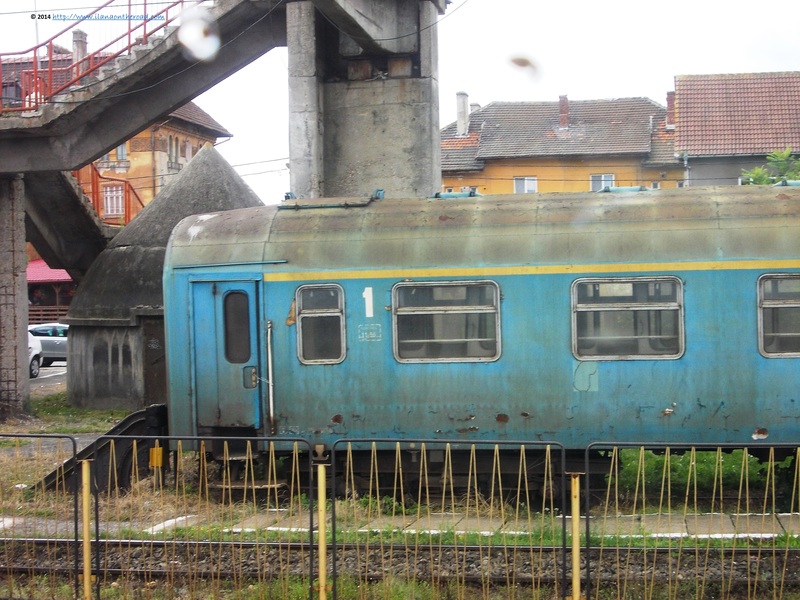 I haven’t travel by train in Romania for more than 10 years, maybe, but was a bit surprised to discover that not too much changed, in terms of high-class comfort and facilities. Even the landscape stayed the same, with lots of weeds around the train lines, and tired personnel, not always able to help you too much. What I sometimes appreciate in the Eastern European part of the world, is the intensive dialogue and life sharing that can be done with full passion for one or two or more hours of travel between perfect strangers ready to share all the details of their life, although did not care about the name of the depositary of their secrets. The main reason I wanted to travel extensively slow, was for checking more carefully the reality on the ground, with a diverse overview over the landscape and even more human interactions. History is always present, but you need to be ready to catch it. In Arad train station, I spotted an old tent-roof stone building, hidden on the back of the train lines, most probably some kind of bunker left from the Cold War time. 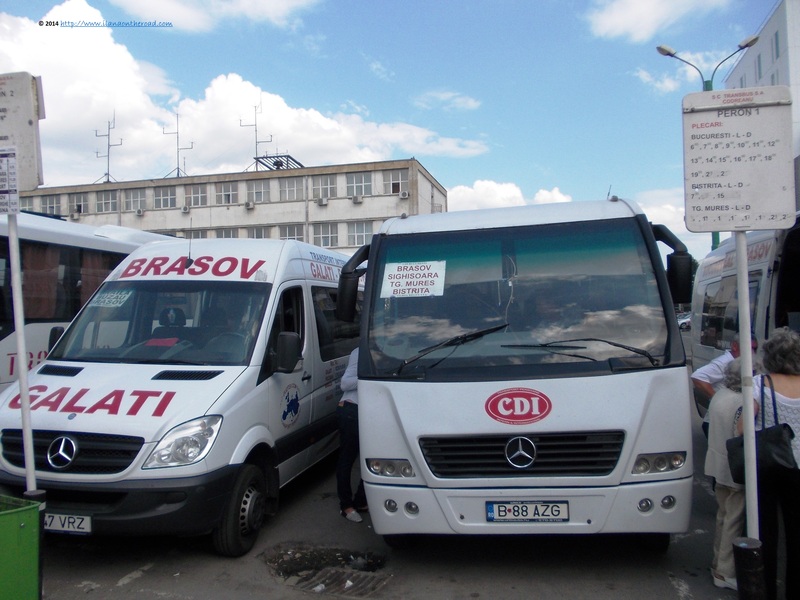 For the rest of the trip, I used intensively and on my own risk the local minibuses not only from a part to another of Romania, but also going as far away as Kishinev. The advantages are the very cheap prices and the availability round the day, with regular connections ready to go almost every hour. On the other hand, forget about safety belts, comfort or even cleanliness. Now, that other travel adventures are calling my name, I’m glad that I made it through the summer and was lucky enough to be back home safe and healthy. A bit of slow travel once in a while can be a very rich experience, strongly recommended. 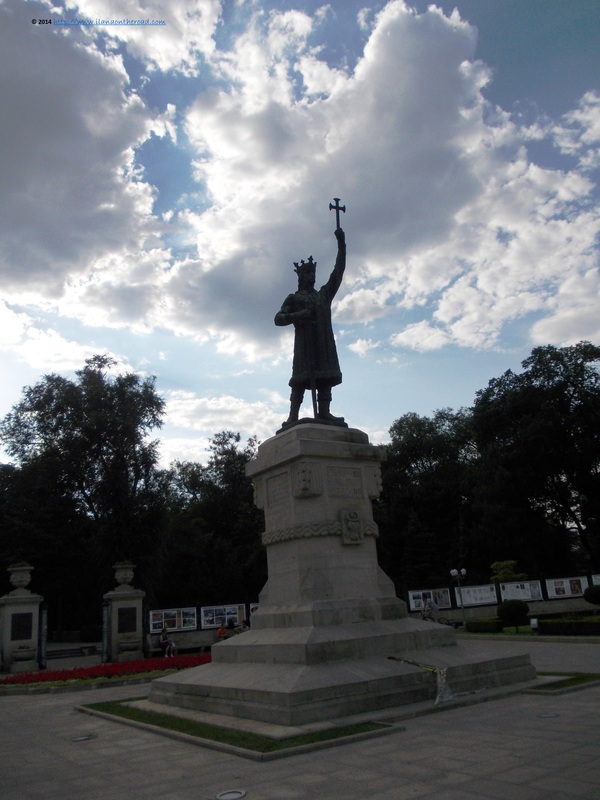 I wanted to visit Kishinev for many years, but either I always rather took the plane in the direction of Western Europe, or I was too far away to include it in my short-term travel plans. Familiar with the history and with a couple of good friends from Moldova, I kept regretting that I’m not able to check the reality on the ground on myself. 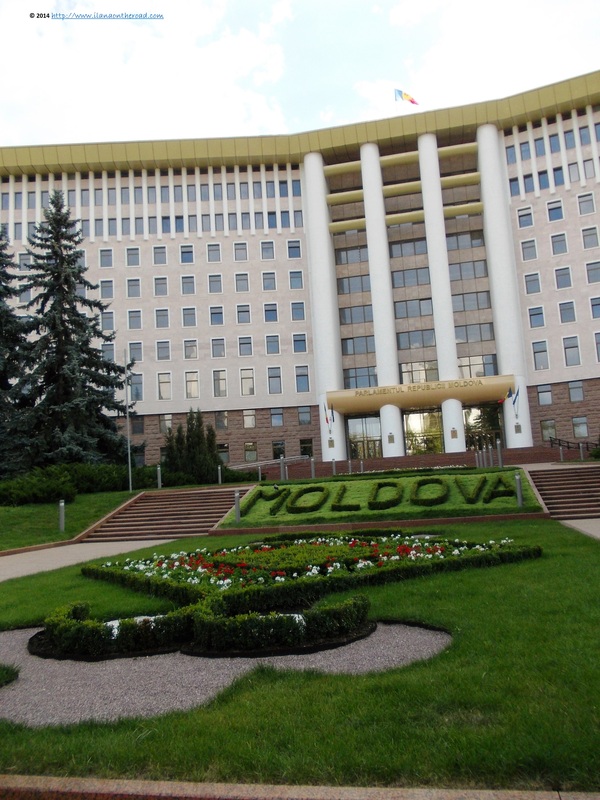 Shortly after the plans to visit Romania were established, the thought of paying a visit, although short, to Moldova, returned. What if? But with the never ending troubles in Ukraine, some worried friends advised me to rather go to the neighbouring Bulgaria or maybe better spend more time in Romania. But I hardly give up, especially when it comes to travel, so kept asking on travel forums and friends about what’s like to be a solo woman traveller in Moldova. When I needed only one more inspiration to finally book my tickets, I met a young taxi driver in Bucharest whose emotional accounts from his home country finally convinced me that I should not miss the chance to go there. 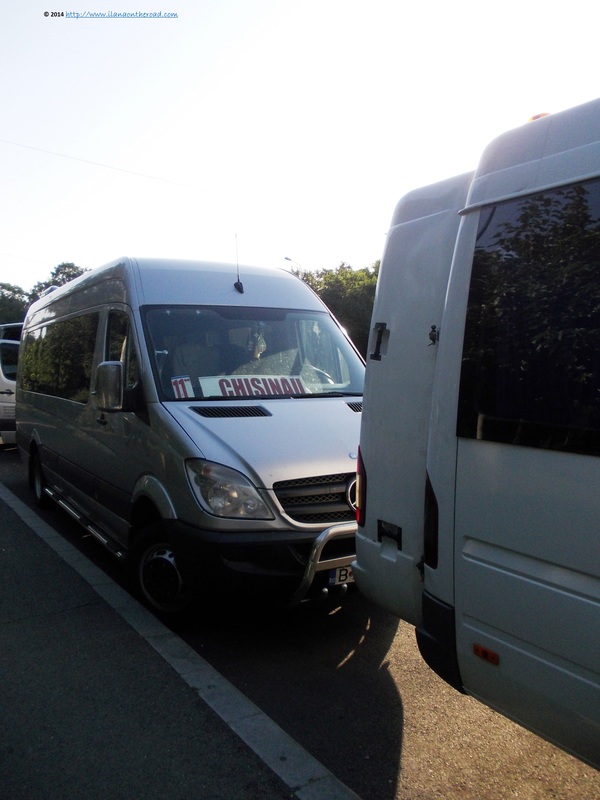 The journey lasts around 8 hours, it’s relatively safe – if you forget about the need to use safety bells which were completely broken – and the mini-buses on both ways are ready to go every 2 hours. There are around 3 companies operating regularly and phone reservations are also possible. Otherwise, it’s quite easy to get a place without, if you are in the station at least 30 minutes before departure. The custom checking was relatively smoothly, although during the summer time, the traffic was quite busy with people coming back home from Italy, Spain or France, among others. 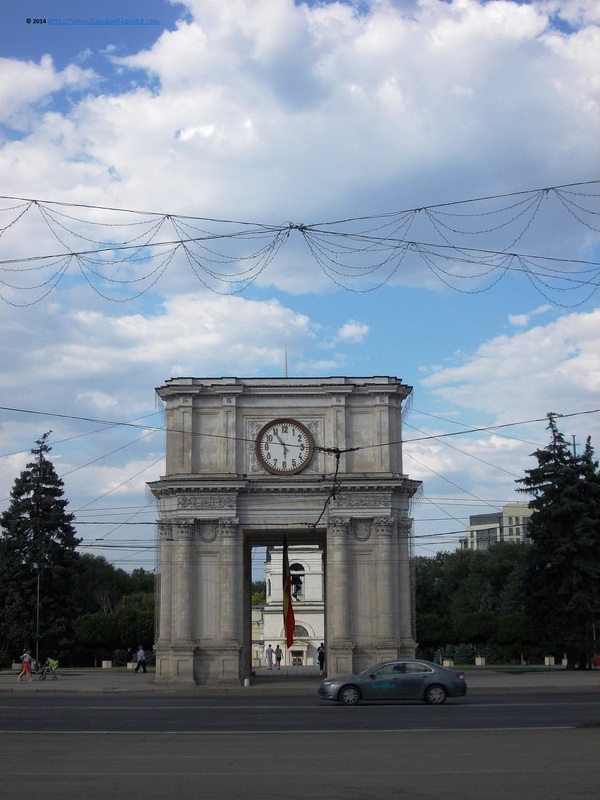 The country was recently included in the free-visa program of the EU, but many Moldavian citizens succeeded to get a Romanian passport – the two countries have a long common histories and for those with Romanian ancestors it was possible to get the citizenship – allowing them free travel and working opportunities in EU countries. On the way back though, the checking took much more, because entering the EU area involves some serious restrictions in terms of the quantities of cigarettes and alcohol that can be carried. As I was carrying only a small bag for my one night stay in Kishinev, I did not make too many worries and enjoyed looking out of the window. 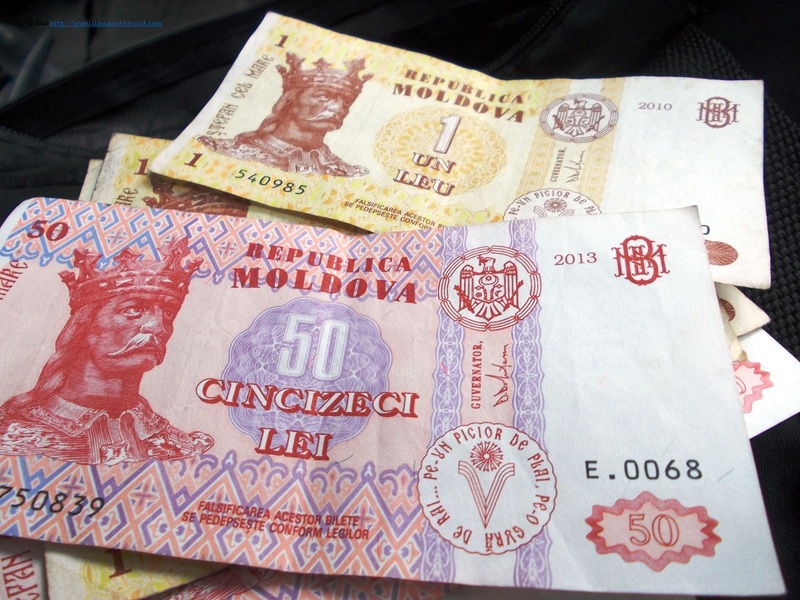 Once arrived in Moldova, the rich landscape kept my camera busy. Kishinev is situated in the middle of a beautiful natural landscape, one of the most favourite destinations for the weekend of the local people being the outdoor experiences of Rezervatia Codrii, a large area covered by forests, small hills and green paths. My first contact with the city was through its people: the driver of the mini-bus, kindly explained me where I should stop for reaching the street where I had rented a too large apartment; the owner of the apartment to whom I paid around 30 Euro for a huge 4-room complex – sometimes, the monthly salary is around 25 Euro, the country being considered the poorest in Europe – and who bought me some water, coffee and some small breakfast treats; the same owner who the next day insisted to pay my ticket to Dendarium park; the many anonymous people who helped me with directions either in Romanian, English and my very broken Russian. Thus, I felt not only safe, but also welcomed. Maybe the streets were looking bad and the contrasts between the very expensive 4×4 cars and the big holes on the roads were too big to ignore, but the warm hearts can open the eyes for long-time friendships. At the Museum of Art, although I was only 10 minutes before closing time, I was allowed to visit the Otto Dix exhibition featuring graphic war experiences during WWI. A couple of weeks later, I visited Dix’s home in the German city of Gera, keeping in mind this encounter. 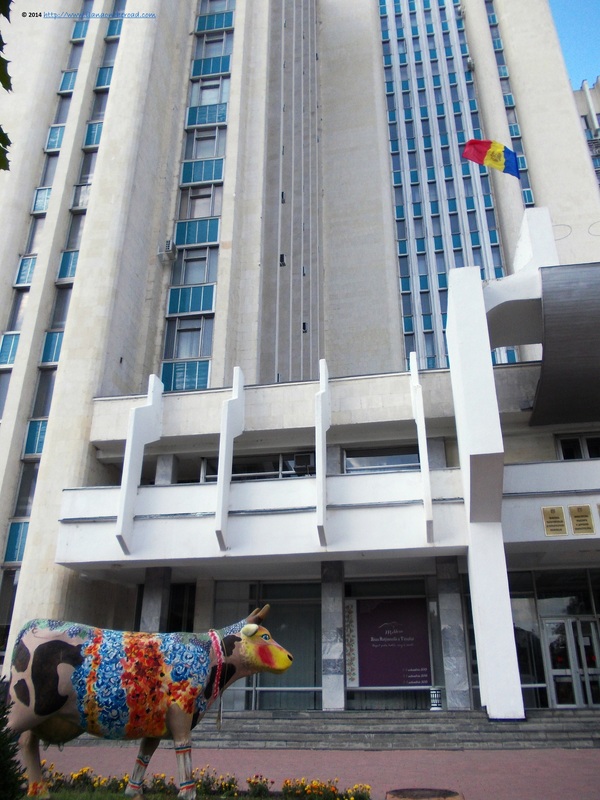 Most part of my time in Kishinev was spent walking the long avenues – especially around Stefan cel Mare blvd – noticing the local institutional architecture, strongly influenced by the communist/rigid Soviet architecture. 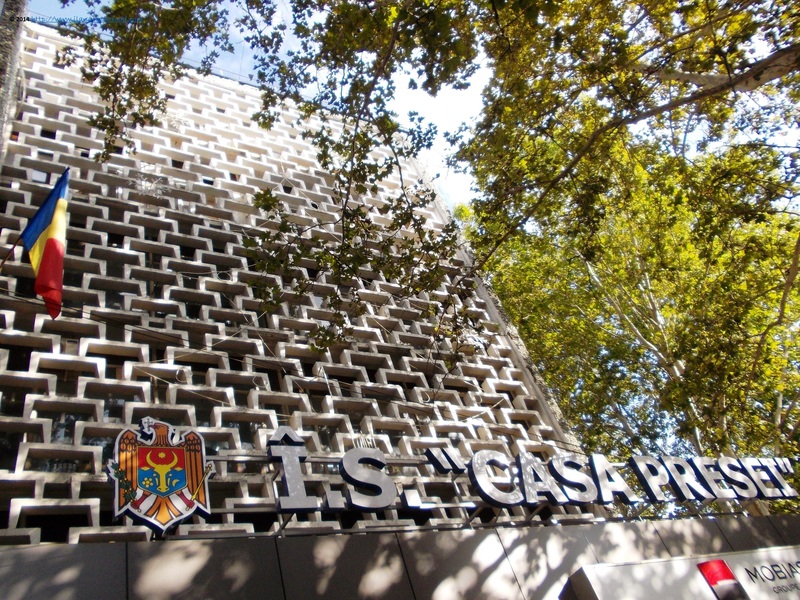 The institutional buildings are unusually big – sign that working for the public institutions might be a serious offer on a very unstable market – and pleasant apparitions. As in Romania, summers in Moldova are very hot and due to the high energy prices, not all the places do have air condition. After a couple of good hours of walking, I decided to have a foodie stop, trying some local specialities at Andy’s Pizza, a local network with air conditioned restaurants all over the city. It’s open 24/24 hours, with home delivery, fast service and very acceptable prices. The menu was in both Russian and Romanian, but the waiters were able to speak some English too. The lemonade was fresh, cold, perfumed and with the right amount of lemon, although a bit too sweet. 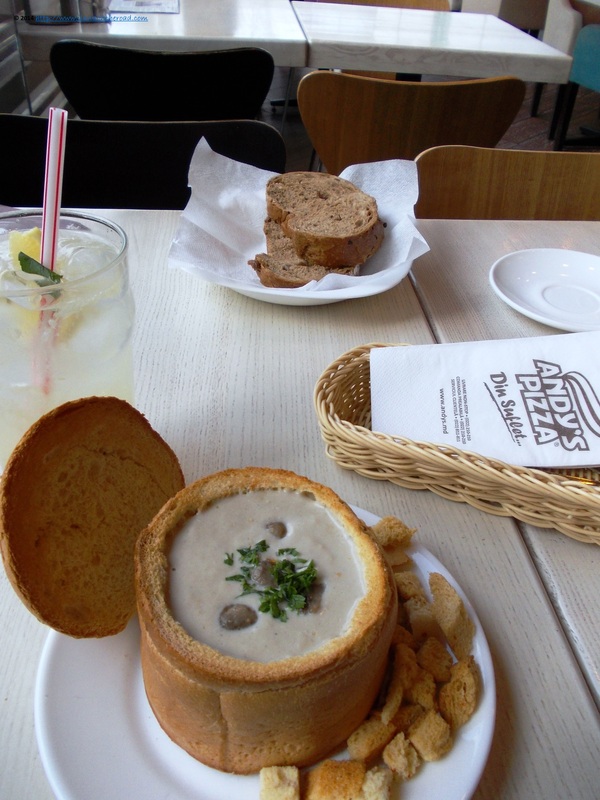 The veggie mushroom soup was creamy, rich in parsley and with lots of crunchy croutons. I ordered some fresh back bread because curious to taste it, and was not disappointed by its freshness and dough aroma. I continued with a four-cheese pasta with dried tomatoes, nothing special, but consistent and with a good combination of cheeses. 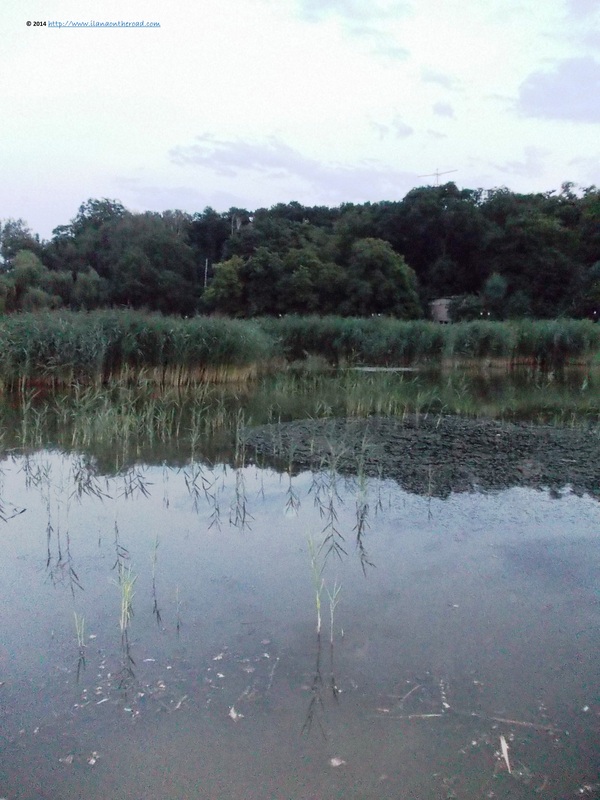 For the late evening, I discovered close to my Badulescu Bodoni street, near the high building hosting the OSCE Mission, a huge park, Parcul Morii, with long trails of ups and downs stairs, few small restaurants and a huge lake with little beaches and walking paths. It looked like late in the evening, most part of the city’s population is out from the hot apartments for enjoying the fresh wind of the beginning of the night. 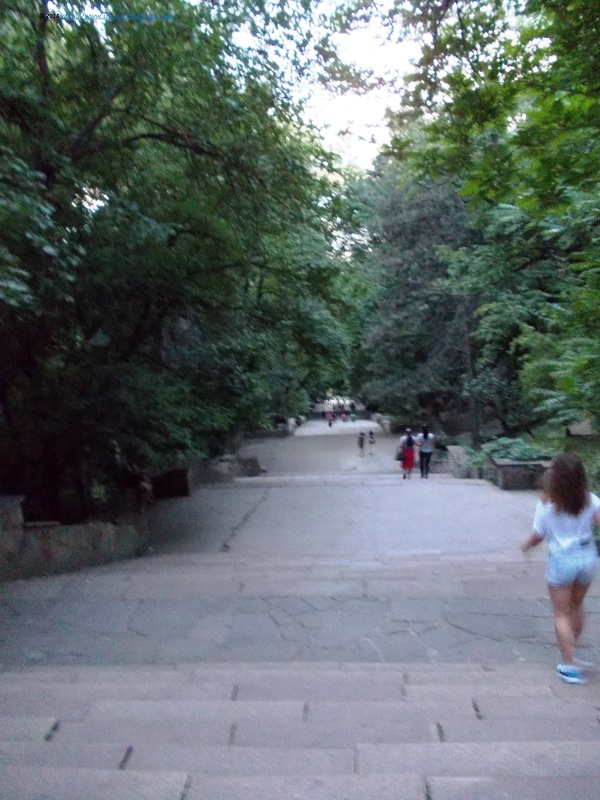 Some courageous one were swimming, others were fishing, the kids were running around and young people were gathering together to look at their iPads – there is free wifi in the parks of Kishinev – or to watch and play some street music and dance. Earlier on in the city, I encountered a group of break-dance youngs and in the front of Stefan cel Mare central park, people were also listening to various music improvisations. 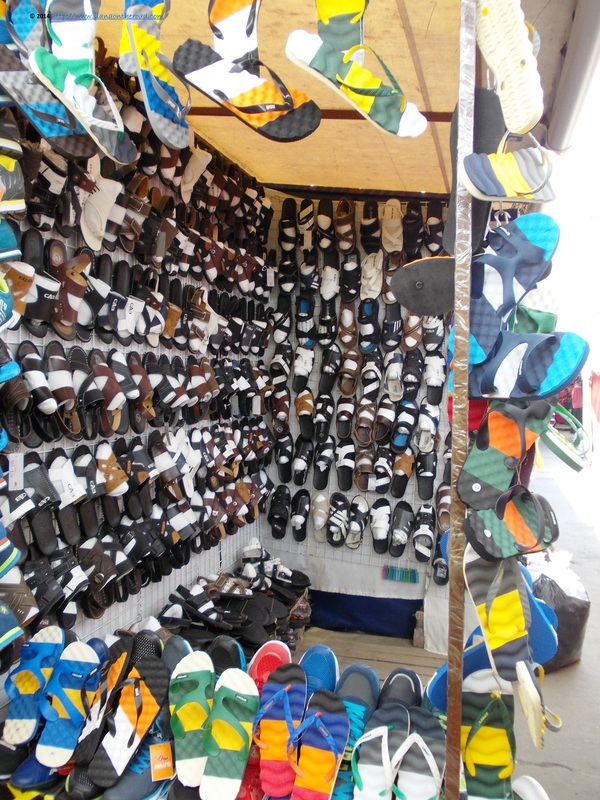 Nearby, there were also other products sold at very small prices, mostly Made in China and of low quality. 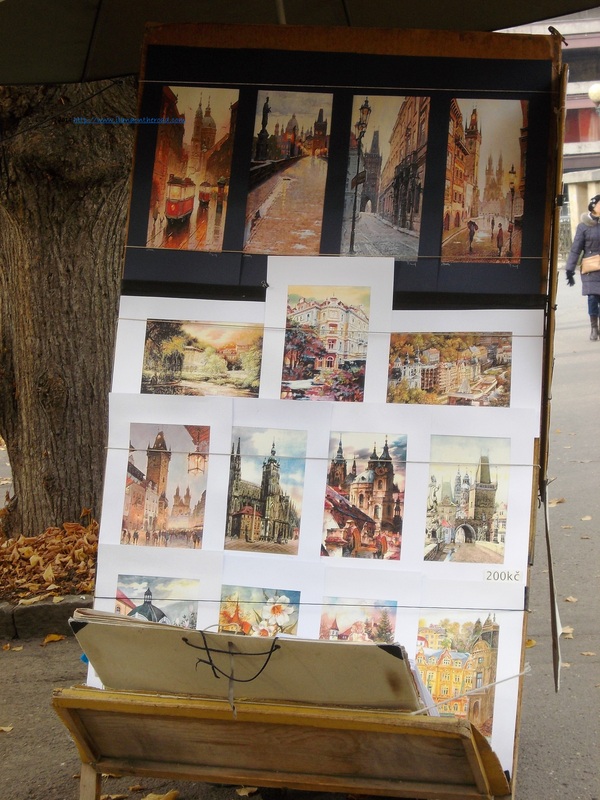 More interesting finds were at the flea market near the National Theatre, on the – already famous – Stefan cel Mare blvd. Looking around at product descriptions and recommendations of travel destinations, the usual reference system we are used with in Europe is completely different. There were recommendations of trips to Georgia and Armenia, of beauty products from Belarus or of ready made clothing products from Uzbekistan or Turkmenistan. Buses for Moscow and other local destinations in Russia are regular. 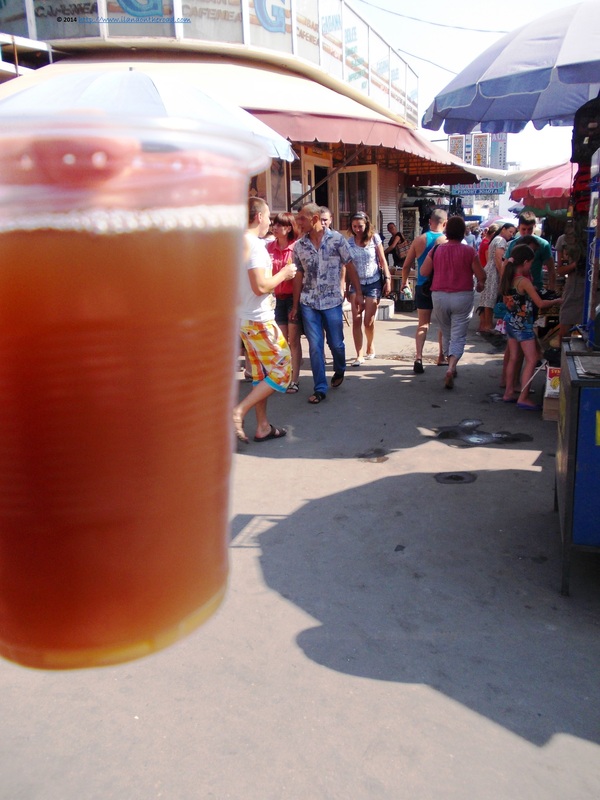 One of my addictive discovery was the street sold kvass. With my usual innocent face, I asked the vendor what does it mean, what are the ingredients used? She – many teenagers were selling it, probably as a temporary summer job – was so surprised by my question that I felt ashamed to ask one more time. Instead, I bought if for less than 0.50 Euro and instantly fell in love with. A traditional beverage in Russia and Ukraine, but also in other former Soviet countries, it’s a fermented beverage made from black or regular rye bread, with an accidental – due to fermentation processes – alcoholic concentration of less than 1.2%. During my last 4 hours of travel in Kishinev, I tried to get at least one cold plastic glass per hour. At another end corner of Stefan cel Mare blvd., I was introduced to the huge Dendarium park, a local Botanical Garden, with beautiful roses and various selections of local flowers. There were not too many people around, so I enjoyed the silent presence of nature. 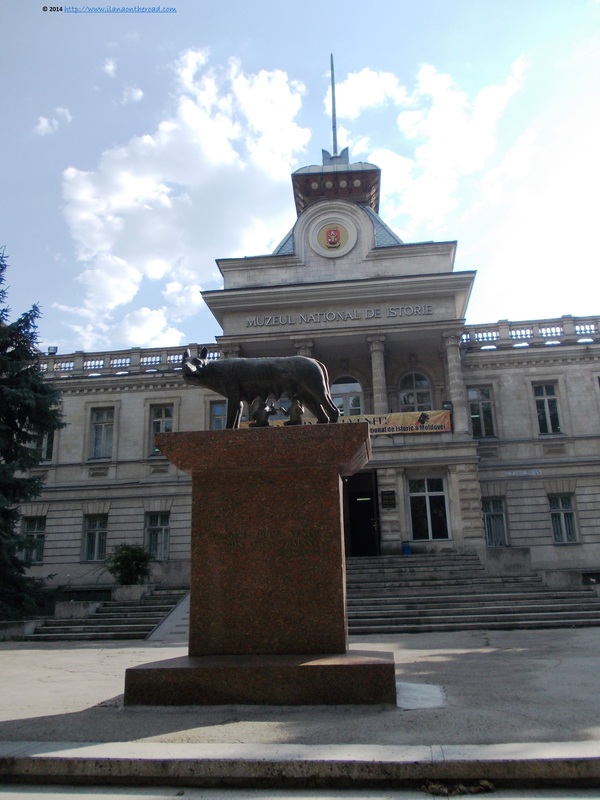 Without a clear tourism strategy and too many street maps showing the directions, a successful trip to Kishinev should relate to the recommendation of the locals, and given my pleasant experiences I had by far, it’s a great opportunity to meet new great people. Although at the very busy central bus station, where comical events can take place, names of other cities like Cahul or Orhei, were screamed loud for attracting more travellers I decided that it might be enough for this one short trip and booked my bus ticket back to Bucharest. But did not want to leave before another foodie treat, at Blinoff, serving traditional Russian pancakes. I ordered another tasty lemonade – after so many glasses of kvass, I needed a change – which was very well made – it seems that people here really know how to prepare it – plus some hard cheese and mushrooms filling and bechamel sauce blinis. 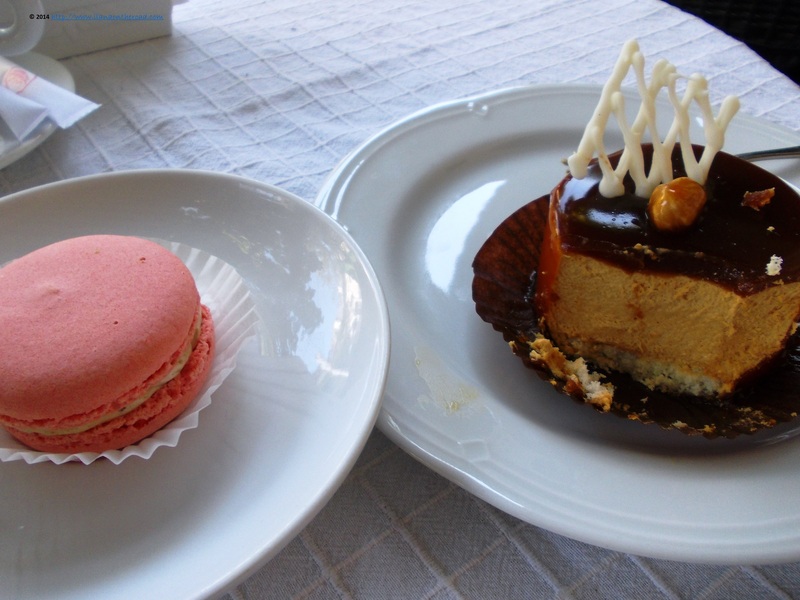 An excellent lavish treat before saying ‘good bye’. For a fresh glass of kvass I’m ready to return any time. And not only.